We rely on strong scientific knowledge and expertise. We use the best rigorous sciences led by the best experts. Our Agency is naturally Industry oriented, we develop the Engineering of tomorrow thanks to the best of today's. 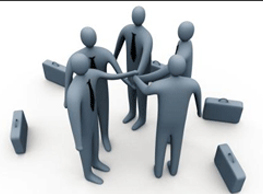 Our mission are carried out with the care of intelligent and strong strategies, we rely on the best business ethics. AGENCY is a Space Agency for Research and Development of human activities (based in Switzerland, United-States and Europe), concerning the Industrial and Robotic fields in NEO-LEO Space and Deep Space, on the Moon, planets and their moons in the solar system and beyond. Some activities to disclose are subject to prior DD / NDA because of the sensitivity of these activities. All of Agency's activities are legally developed with the support of patents, trademarks, or "know-how" and "joint venture" businesses contracted with various Institutions, Universities, Laboratories and organizations or foundations at the International level. AGENCY proposes Joint Ventures in order to construct PERT- HELIOTORR-TERMINATORR-MOTORR-Explorer-Analyzorr-Extractorr-Refiners Stations. AGENCY proposes to create a commission banking space to study the establishment of a new currency adapted to extraterrestrial activities. As such, all Agency job, from a Security point of view or from a Technological point of view for examples, deals with Space Development. NASA-JPL Report by W.H. Steurer about Extraterrestrial Materials Processing. NASA Report about Lunar Regolith Simulants Materials. Here is some corresponding communication dating from the 80s between Dr. Assoun and NASA. The merit of this report in 1981-82 consist in the clear vision of Strategic Planetary Resources and Extraterrestrial Industries . Despite of the age of this document PERT (36 years ago! 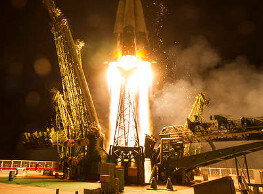 ), the prominent projects and technologies has been seriously exposed, waiting for the moment of the beginning of Moon Colonization and to Mars. We are proud to modestly introduce in the Space Adventure some ideas and Industrial road map, for future decades. By now International Agencies among them NASA-JPL are prepared to do the job. 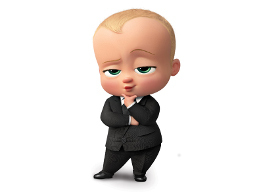 You will be directed to a link where you can download J.A. Bittencourt book, "Fundamentals of Plasma Physics" here. You will be directed to some information about High Temperature Plasma here. For some Experimental Physics, you will be directed to some information here. About plasma you will be redirected to some information here. About plasma diagnostics, you will be directed to some information here. You will be directed to some information about Space Physics at NASA here. You will be directed to some DoD Space Physics here. You will be directed to some information about Sun and Stars Energy here. About the dynamic of conducting gases (MHD, MFD, MGD) you will be directed to some information here. About Atoms in plasma, you will be directed to some information here. All terrestrial chemistry concerning inorganic and semi-organic chemistry , is based on the use of "normal water" under terrestrial gravity according to standard conditions and pressure with as external medium N2 / O2. These exceptional conditions favorable to the chemistry of life and catalysis do not exist as such on the celestial objects which surround us and therefore the classical chemical reactions are not simply obtained or applied, a new CHEMISTRY must be born. Plasma chemistry will allow the extraction of rare gases (He, Ar, Xe ...) from lunar rocks or other planets, moons and asteroids, but also the most important and vital raw material of all WATER in different forms in rocks, sand or ice. note: When the gravitational conditions are very far from the basic experimental conditions in order to bring natural isotopes and ions with H2O into contact, artificial centrifugal stations will be proposed allowing the creation of chemical salts essential for chemical, biological and agronomic engineering. Plasma chemistry makes it possible to create alloys and chemical reactions on the earth in the absence of water, as happened on certain planets including the earth at the very beginning of the GEOCHEMICAL activities . 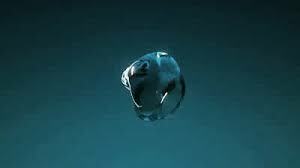 Water should be considered as a molecule with very special and interesting thermodynamic and quantum properties. Thermodynamic studies associated with MagnetoHydroDynamic MHD conditions allow, depending on the magnetic susceptibilities and Curie points, to select the best catalytic species(included Ln3+) in order to seed the plasma including to regulate the plasma LTE and PLTE zones. These methods complement the reports described by NASA JPL (materials processing 1981-82-83 and the PERT report communicated to NASA-JPL in 1981-82 Christian Daniel Assoun as adviser for JPL-NASA (W.H.Steurer- J.R.Carruthers). PLASMA CHEMISTRY on objects When high-temperature or low-temperature plasma chemistry has provided raw materials of technical purity, these raw materials will be introduced on-site or transported to a HELIOTORR PERT (REFINING) station for refining in the various grades of purity required by manufacturers. The method of refining(on place) by plasma methods and isotopic separations and selections is the only one applicable on asteroids. The deep space conditions in which asteroids are found are fully adapted to isotopic separations. 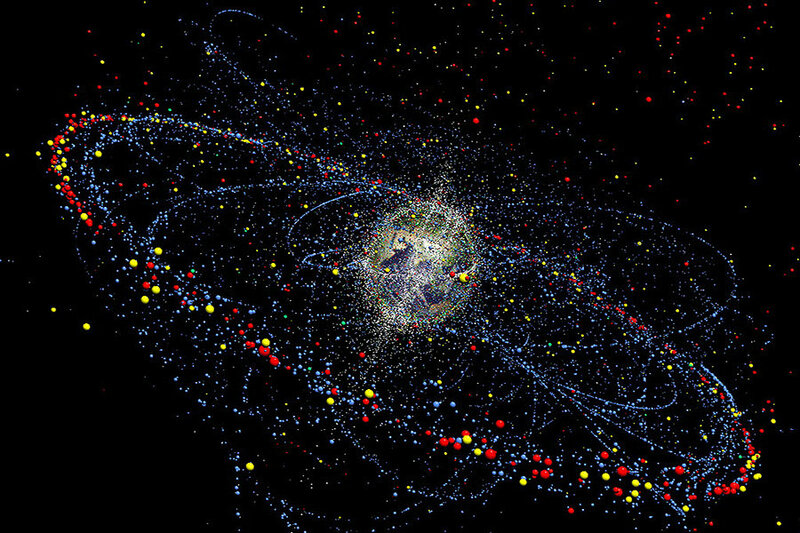 As a direct consequence of human activities in Space, a huge amount of debris has accumulated on Earth orbits. While this issue was completely underestimated in early Space programs, it has appeared over the years to be a very serious issue. It is now considered by all Space Agencies as the priority one issue to be solved and fixed before any later Space development. It is not only a big issue in the long run but also in the very short years to come and already represents the main threat for the current population of satellites and therefore for current communications and else. It is by itself both one of the main space safety issue and one of the main current space challenge. Click here to be directed to the page of the RAND disclosed report:"Confronting Debris in Space"
Dr. Kessler from NASA, 15 years ago, published some remarks and calculations that predicted that not only the situation will become of course worse but would moreover worsen and worsen still. Those ideas, now know as the Kessler Syndrome, were not taken very seriously at first but by the time they are now considered as meaningful. We do not trust in De-Orbiting solutions because, the risk is more important than the solution proposed. In addition even if the out of service satellites are placed at cemetery orbit 36086 km , 300km above to GEO , then what? The cemetery will represent an additional potential very high risk for functional satellites and also for the Space Industry in general for manned or unmanned missions. It would be a dangerous cloud for space industries . An other sometimes proposed solution: if the satellite is equipped with final motor embarked for re-entry, the proposed solution is not to burn the satellite in the Earth atmosphere, but only that they be placed at cemetery orbit, for us, this is not a solution to increase each five years the number of invalid satellites to the spatial graveyard, the risk would be increased with exponential progression, we would have then to do with a much worsen KESSLER syndrome. These facts are scientifically demonstrated by experts. How to do with a graveyard full of satellites in 20 years, who will anyway decay, come back again at GEO and that will collide with others satellites and also would represent a dramatic danger for the Space Industry. At GlycanSpaceXR we not only consider this issue as priority one but we also have got both a proper strategy and we propose adapted technology. In order to capture the debris or retired satellites and antennas , several methods have been proposed to agencies but none is scientifically acceptable without high risk for the cloud of existing or secret satellites and for the Planet. Nets, harpoons, arrows or kinetics tools with ropes while still sometimes considered as a potential solution have been understood to be mainly irrelevant. Only JPL ( NASA ) has recently (2017!) with the help of Stanford Engineers developed proper tools(grippers) tested in approx ZERO-G in order to capture the space debris or unused satellites with “gecko like micro surface technology”. This is a proper tool, that complemented with GlycanSpaceXR technologies can do the job in NEO-LEO-DEEP SPACE. Several methods in order to remove(de-orbiting) the satellites have been studied without taken in consideration that these satellites were not responding to communications from the “rescue” engine set by the Earth, and the rescue engine have to do the job without any help from the target(space debris or antenna or satellite body). Because electric power is not operative and Robotics cannot serve on the retired satellites. It’s time to first limit the launching of micro sat or cube sat. Regarding the increasing risk for the Kessler’s syndrome we consider this business opportunity as unappropriated for the moment and a very risky choice. First of all the real highly risky issue of SPACE DEBRIS is to be fixed before this commercial plan for communications at local Earth. We place in the same unappropriated way the idea to create space Clouds in order to create BIG DATA security storage around the Earth.,in order to save data from Agencies, Governments industries, banking and Research matters… For the moment it would much too insecure. At scientific level, some points are to be resolved seriously, mainly the risk of insecure communications between several satellites and the risk of satellites being hacked. Quantum communication is a serious candidate for this that we consider in our mission XR-QM (Quantum Machines). The issue of decoherence will be resolved in a couple of years. Therefore we will pursue the missions of GlycanSpaceXR in order to secure our outer space and the Space Industry. Serious Agencies do not trust seriously in De-Orbiting technologies and its future, because , this represents only a good idea at first glance while the remedies will be worse than the problem to be solved, and will anyway much worsen the issue to a later date. In addition kinetics are not in favor of de-orbiting strategies, because the antennas or retired satellite is not UNDER CONTROL from Earth, and cannot himself readjust geodesic points required. The spatial tool “rescue” who will conduct to orbital grave has to mobilize some Newtons (kinetic energy) to do the job, and the rescue tool must have the installed power to do the job at multi levels. The option to burn the debris or retired satellites or satellite with malfunctions, with re-entry Earth’s atmosphere is amateur decision and risky at contamination level and has not adopted by serious agencies as well, neither NASA-JPL nor DARPA nor DoD nor ESA. In addition, at present no technologies are prepared in order to terminate and recycle the debris in raw materials without any risk for Earth contamination if de-orbiting failure when the process is engaged and orbital graveyard is perturbed by others dynamic objects. We propose that the debris be ultimately be reused by the Space Industries after having been transformed in pure metals waiting a future smelting (TERMINATOR HELLIOTORR PERT ) technologies GlycanSpace XR technologies , in order to elaborate other large structures in space, mainly to move to Moon, first stage of second life. Extraterrestrial business plans in order to capture and transport raw materials from NEO-LEO-GEO-GTO localization back to earth is out of our Future capabilities for this specific issue. 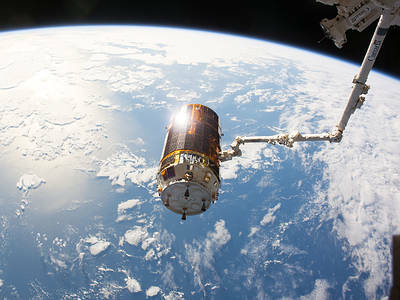 De-orbiting represents a serious source of risks related to deorbiting and reentry uncertainties, especially for large objects, linked to destruction or failure of robots. This includes high risk Earth contamination. The refining of valuable resources must be installed near the debris and disseminated clouds (HELIOTORR-PERT TERMINATORR TH3 STATION POWERED BY PLASMA MOTORS ). The resources will be stocked as concentrated metals (PERT) and then pull to the Moon or Mars in secure conditions. SPACE DEBRIS are considered as raw materials for Future Extraterrestrial Activities. Between 2016 and 2026 it will be necessary to have financial efforts of approx 20BN$ spread over 10 years in order to realize several missions included the present one. The TERMINATORR Station will have the role to process debris while the HELIOTORR PERT Station will process to their refining. PERT JPL report (Plasma for Extraterrestrial Resource and applied technologies) has introduced in the early 80s the necessary technology for TERMINATORR and HELIOTORR stations. It has been complemented by PATENTS 2006 CH-WIPO- and Patent PENDING US -2016. By Christian Daniel ASSOUN (Expertise PhD Physics- Atomic spectroscopy 1979 Former Adviser NASA-JPL 1981-1982 ). PERT REPORT has been USED IN THE JPL NASA report of Director Wolfgang H STEURER-1981-82-83-86 Extraterrestrial Materials processing. The plasma technologies (introduced by PERT report ) seems to be the most promising technology to be applied to SPACE DEBRIS REMEDIATION SDR-ADR and /or for Extraterrestrial Mining and Refining. 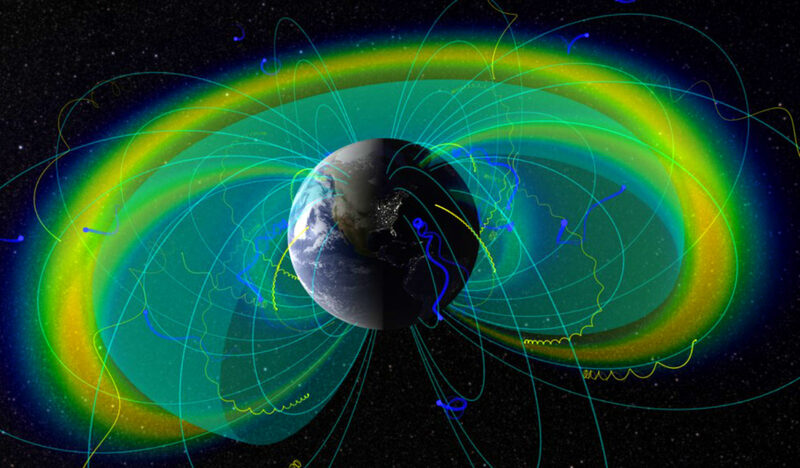 This plasma technology already exists and several laboratories are working at international level in specialized domains for EARTH application ONLY. GlycanSpaceXR has developed the technology in order to create specific tools for Extraterrestrial Applications. More than theoretical field the plasma technologies are mostly utilized with “scientific and technological “know-how” collateral from patents and spin-offs of these patents. THE PERT REPORT has set up several bases for ENERGY-MHD-MGD Magnetochemistry, SOLAR and NUCLEAR RESOURCES SECURED IN DEEP SPACE. The goal OF GlycanSpaceXR HELIOTORR is to manufacture the GRAND DUCHY OF LUXEMBOURG and USA (California or FLORIDA KSC) serials OF HELIOTORR PERT STATION and install there its subsidiary companies, in order that they be launched and assembled in Space. THE PROOF OF CONCEPT (POC) will be launched at LEO 500 km and at GEO 36’000 km(if possible) with 130 kg payload experiment reduced scale 1/30em- or checked at ZERO G orbital flight. Our strategy with HELIOTORR PERT - POC (proof of concept) is to verify at LEO 500 km and GEO 36’000 km the capabilities of this plasma technology that will be first checked at simulation LABS on Earth with “DEBRIS” of GEO-Chemistry similar in contents / NASA JPL/ EXPERTISE IN THIS ALLOYS CHEMISTRY FIELD. We estimate at several hundred MUS$ ECONOMY OF FUNDS AND WE WILL SAVE AT MINIMUM 5 YEARS OF TIME IN THE PROJECT AND IMMEDIATE INVESTMENT IN PLASMA MHD MOTORS (60 MUS$) IN ORDER TO PROPULSE THE FIRST HELIOTORR PERT. Joint Venture could be signed with Astra Rocket USA ,or purchased from GlycanSpaceXR. If not ,the plasma motors will be constructed in USA by GlycanSpaceXR. Transformation in raw materials(alloys of metals) smelting or pure metals by REFINING in order that they be used in future Space Missions. AT PRESENT 2016 THERE IS NO DEMONSTRATED ACTOR DECLARED OR KNOWN IN EXTRATERRESTRIAL DEBRIS REMEDIATION Field POSSESSING THE IDEAL TECHNOLOGY. WE POSSESS THE SOLELY TECHNOLOGY. WE WILL QUOTE – OFFERS AND SELL OUR HELIOTORR PERT TERMINATORR TH3 STATION “PRODUCTS” IN SEVERAL MONTHS. Possible JOINT VENTURES WITH COMPANIES INVOLVED IN EXTRATERRESTRIAL MINING OR SPACE DEBRIS REMEDIATION. WE WILL RENT A FACILITY IN LUXEMBOURG and USA California or Florida in order to install the Laboratory of Simulation PERT HELIOTORR STATION and Robotics plan and for SPACE DEBRIS REMEDIATION- Proof Of Concept. Glycan Space XR HELIOTORR LLC. this section must be understood as a draft and short notice to be included in the FINAL executive summary. 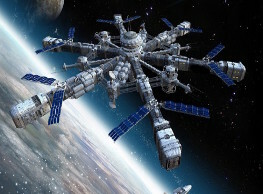 Several uncertainties are associated to this draft- the Heliotorr Pert station is assimilated to a space craft equipped with important industrial tools embarked, in and out, to be deployed AT LEO-NEO-GTO this vision of the project seems to be in good agreement with the deep space conditions. The SPACE DEBRIS are gathered TO 5’000 to 10’000 Tons We can consider these metals or alloys as precious and strategic destined to be processes as raw materials for other stations to be elaborated in space. Over five to ten years for cleaning around the EARTH. in agreement with AVERAGE PRICE 250 MUS$. INSTITUTIONAL CONTRACT with governmental Agencies ? ROI (Return on Investment) in our case 3 to 5(coefficient) FOR EACH HELIOTORR PERT STATION TERMINATORR TH 3. Extraterrestrial Mining and Refining adventure (IF SPACE DEBRIS REMEDIATION ACTIVE and ENGAGED ) constitute one of major challenge for human technologies in front of the deep space and solar system. This crusade in the solar system hunting asteroids in different belts will give force and knowledge to all the actors of this important mission in order to colonize our solar system. Therefore we strongly believe that the GlycanSpaceXR missions included others , must be treated by a different way. IPO formed by several companies could federate their efforts in order to create a POOL of actors including Institutional (Gov) in order to create a group of companies , banks or assimilated, capable to introduce on financial markets and set up the CONSORTIUM for Extraterrestrial Mining and Refining (CEMR ) on the international public market but with limited shares in order to give to the consortium the legitimate conduct of the project always in the hands of the CEMR. The IPO could produce necessary funds in order to reimburse rapidly the investors , included Gov, Institutions or companies and raise funds for the whole projects, with comfortable ROI for all the actors, it will be an unique International kinetics ! DO NOT KILL ISS ! ISS INTERNATIONAL SPACE STATION for a SECOND LIFE after 2026. ISS cost has been paid by US at 90% with infusion during years for 90 $BN. We propose to refurbish and transform the ISS station in HELIOTORR Station and refund the investors during 20 years with the funds got from SERVICING and CLEANING UP the LEO-NEO-Deep Space, near the Moon and other missions. The whole community of launchers, owners of satellites and organization will pay part of the job to be done mainly of cleaning and transformation of the space debris, wastes and Deep Space researches-including GlycanSpaceXR missions. The Station could be equipped with some plasma motors (some of them with dense species plasma) therefore the STATION will be powered by fuel cells, ionic propulsion, hybrid, solar energy and others...including MHD-MFD-MGD. The extraterrestrial resources present all around us in the Solar system represent both a huge potential benefit and a solution for the Future of Earth and its Citizens. At GlycanSpaceXR we are dedicated to make this Future reality. We have got the necessary expertise to develop the tools that are needed. This is the goal of our Mission XR-ETMR. 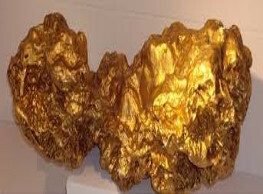 We develop the Mining and Refining tools as well as we develop the necessary strategy to outdo this challenge. Mission XR-ETMR is complemented by our Missions XR-PP (Plasma Physics and Chemistry), XR-SPACI (Space Industries, Large Structures ), XR-IR (Intelligent Robotics), XR-QM (Quantum Machines), XR-PRSE (Planetary Resources, Strategic Elements)… This is moreover a crucial step for any future Space Colonization, Mission XR-COL (Space Colonization). We have to completely reconsider the Earth-Made methods of mining in order to apply them in the Solar System (Planets-Moons-Asteroids). The minerals present on the Earth are generally associated with molecules of water and other organic radicals (water of crystallization). Chemical reactions and combinations of mineral salts is possible because water is a thermodynamic liquid with unique properties, even often considered as the first quantum liquid for bio-engineering (Intronic biology). The minerals extracted from open mines and even those from deep mines are brought back to the surface of the earth where gravity is g: +/- 9.81 m.s-2 . The average terrestrial atmosphere according to the atmospheric layers, near the soil is N2 -78% -O2- 21% and 1% composed of rare gases Argon-Helium-others. This geochemistry and magnetic environment has strongly influenced the design of the tools for drilling, geophysical exploration, excavation, and transformations of minerals into raw materials, awaiting a refining of technical grade or pure (natural metallic elements). 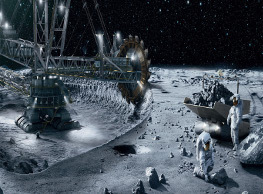 The experience on the Moon (the first step essential to mining and extraterrestrial refining and execute the ROBOTICS tools ), will teach us the necessary Engineering before any Mining and Refining in Deep Space or other moons and planets and asteroids. On the Moon or on other celestial objects (Mars and other Planets and their moons) the conditions are completely different and the currently known Earth-made Mining Engineering is not immediately applicable. A specialized education and training will have to be provided in some NASA-ESA- related schools. This is one of the main purposes of the American Institute for Quantum Sciences and Plasma Technologies- Pasadena- Non Profit Organization (GlycanSpaceXR). On the Asteroids the situation is even more difficult because of the very nature of the asteroids even if, classes of type S, M, or others contain rare, valuable, strategic metals such as lanthanides Ln3 + (rare earths) in the form of oxides or pure metals and precious metals group PMGs , according to the first XRF Radars or ICP-MS assessments of the analytical content of these metals. Direct exploitation is currently impossible for security reasons related to the risk of modifying/splitting the geodesy and gravitational balance of the Solar System. Extraterrestrial Mining technologies have not yet been fully invented or developed. To confirm this opinion the probe launched by NASA will recover on the asteroid BENNU 2060 g (2kg) of ore regoliths by means of the tool TAGSAM for an investment of more than 800 MU $ !. Indeed the OSIRIS-REx for BENNU probe has been launched by NASA for mainly cosmogonic goals not for preliminary mining operations. The adventure on orbital asteroid type BENNU or other remains complicated and demonstrate that we must create first the learning and strategic tools as a whole to apply them on planets, moons and asteroids. Although MINING and REFINING technologies are not yet fully available or disclosed by the laboratories, GlycanSpaceXR Agency and other entrepreneurs are willing to accept this important challenge. GlycanSpaceXR AGENCY has based its Mining and Refining Extraterrestrial company on the development of plasma technologies since 2006 (2006 and 2016 USPTO). They will be implemented on the Moon and on the Earth's ground (simulation laboratories) in USA and Luxembourg, these technologies will be naturally associated with robotic tools of new generation type (mission XR-IR, NEURAL-ROBOTICS). Extraterrestrial Mining and Refining will be predominantly composed of UNMANNED Missions (XR-IR). As a result of the operations of Mining it will be necessary to carry out the operations of Extraterrestrial Refining with stations installed on the planetary objects or the great asteroids (or preferably asteroid belts). In addition, the return of strategic minerals to Earth (for refining purposes) is a high-risk re-entry , the same issue exists for De-Orbiting (see for example mission XR-SDR, Space Debris Remediation) operations for the missions themselves and for the Earth's environment in the event of an accident. Moreover such projects do not have currently a proper ROI financial returns for investors. Remains the management of the distance component with respect to the earth, for the asteroids, very far from the earth which is the case to 98% of the population of the asteroids designated as industrial target. Our Mission is fundamental for any later Colonization (Mission XR-COL) and for the developing Space Industry (Mission XR-SPACI). All terrestrial Earth-Made chemistry concerning inorganic and semi-organic chemistry , is based on the use of "normal water" under terrestrial gravity according to standard conditions and pressure with external medium N2 / O2. These exceptional conditions favorable to the chemistry of life and catalysis do not exist on the celestial objects which surround us and therefore the classical chemical reactions are not simply obtained or applied, a new CHEMISTRY must be born (XR-PP). When the gravitational conditions are very far from the basic Earth conditions, necessary to bring natural isotopes and ions in contact with water, artificial centrifugal stations will be proposed allowing the creation of chemical salts essential for chemical engineering and biological and agronomic engineering. Plasma chemistry makes it possible to create alloys and chemical reactions in the absence of water, as happened on certain planets including the earth at the very beginning of the geochemical activities. 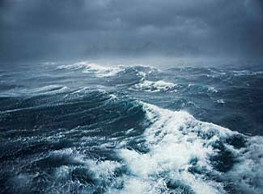 Water should be considered as a molecule with very interesting thermodynamic properties. Thermodynamic studies associated with MagnetoHydroDynamic MHD conditions allow, depending on the magnetic susceptibilities and Curie points, in order to select the best catalytic species(included Ln3+) in order to seed the plasma including to regulate the plasma LTE and PLTE zones. When high-temperature or low-temperature plasma chemistry has provided raw materials of technical purity, these raw materials will be introduced on-site or transported to a HELIOTORR (REFINING) Station (patent pending) for refining in the various grades of purity required by manufacturers. The method of refining(on place) by plasma methods, isotopic separations and selections is the only one applicable on asteroids. Moreover, we will save 98% of the electrical expenditure of the primary and secondary vacuum pumps and unmanageable diffusion in deep space. The perfect vacuum 10-13 torr existing already there !! We consider this mission as fundamental because it will constitute the future base of studies and experiments for the installation of colonies in the solar system or even beyond. First of all it is essential to create robotic and human training laboratories in order to respond to situations of extraterrestrial explorations which will represent one of the greatest challenges human beings. The minerals most resembling land ores will be studied with the use of new machines evolving in controlled atmospheres or in micro-gravity conditions. Without the acquisition of this future extraterrestrial engineering, learned on Earth, it will not be possible to envisage an efficient mixed installation (robots and man) on the objects of the solar system and thus to create colonies. The plan of the job is complex, it consists in the creation of a new physics and chemistry (engineering) on the object to be colonized. We have to be able to extract raw materials, minerals, water, rare gases and others. We have got the technology for refining the minerals and obtaining natural elements and metals of different grades of purity (99.5 % to pure or ultra-pure grade) as on earth (PERT plasma technologies). Then we will need to construct the electrolytic and plasma tools chains, and continuously melting (patent pending) of the ores on the spot, including regoliths, and mostly Silicates, Iron, Ca, Mg. and others. This process will be comparable to the land-based steel industry. Metal lattices (Fe) or specialized alloys doped with other natural elements will be deposited in the parallelepiped or hemispherical crucibles at a distance of 3 cm from the bottom of the crucible- Then the molten liquids (coming from the PERT stationary plasma tools) will coat the trellis or meshes (BEE geometric). The final product will be stored underground in the absence of high temperature variations which alter and weaken the crystalline meshes of the alloys and reduce the multiple quality and competence of these materials intended for use on the exploited soil or to for Stations and / or Spacecrafts. 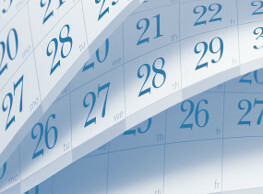 The product will be stabilized from a few days to 30 days. The quality of the finished materials will be tested according to the future applications on ground or in orbit(orbital station) or for a spacecraft. These structures may also constitute the coatings and envelopes of equipment on site or of future orbital assembling stations and other structures. The refined materials will be brought from the ground to the future assembly stations by means of plasma motors, the main fuel of which will be the hydrogen obtained from the water extracted from the colonized soils. Two metal trellis output terminals will be visible and adaptable to other functions (not disclosed). The 4 lifting rings of each plate or other selected geometries will transport manufacture pieces in their places of storage and assembly. By means of lenticular structures (HELIOTORR) 30 m to 100 meters containing Helium or possibly Hydrogen (this last, in the case that the atmosphere of the colonized object does not contain oxygen or/and important electrostatic perturbations). 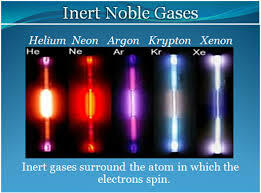 The rare gases (He, Xe) will be obtained using the PERT- plasma tools machines. These structures can have the appearance of assemblies (MECANO) with guides and easy-mounting, with locking pins and lifting rings at the four corners of the plate. Each plate of 1 meter in length or more 3 meters will be nested with the previous one and stored. It should be noticed that for colonized objects not having large atmospheric disturbances (above 150 km / h), the movement and missions with HELIOTORR gears will be easy. Propulsion of HELIOTORR gear will be provided by fuel cells and plasma engines. Hydrogen will be obtained in electrolysis stations from the water obtained from the cracking and thermolysis of certain water-rich minerals, in the case that the water does not exist naturally on the colonized soils. These first materials being immediately found on the ground. The objects colonized will allow the manufacture of panels, tubes, spheres, hemispheres, making it possible to construct houses for robots and humans and to protect mineral processing machines and drilling and excavation. New drilling, excavating and grinding tools will be developed, in particular a digging station, which will be the centerpiece of the mining facility, which can be robotized after periods of continuous testing. These two (or more) stations should be able to process tons of ores per hour and produce 4 to 7 mesh plates per hour, or 15 tons per day, including automatic maintenance. A station would be reserved for the rapid replacement of a stopped station for damage or maintenance. New Portable XRF and portable Plasma Tools will be made available to explorers in order to test rapidly the soil and to measure especially the melting temperatures and to deposit markers of geodesic landmarks. 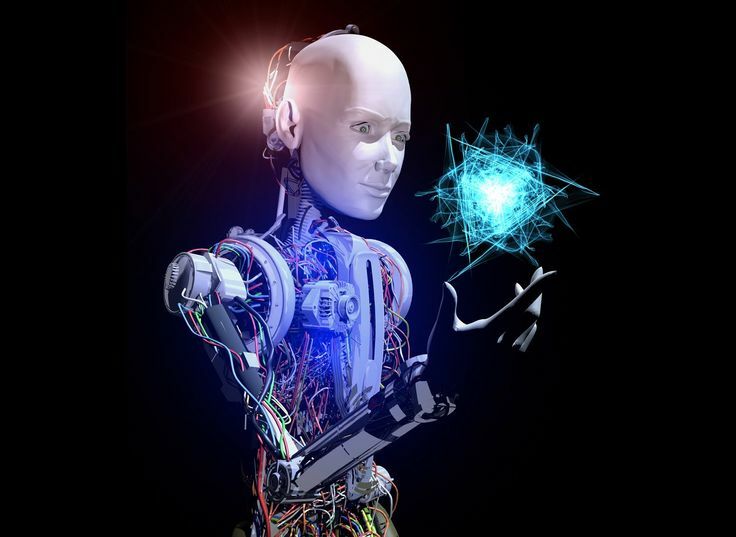 "Intelligent Robotics" means any installed hardware or software organization (binary and / or Qubit type) in a static and / or dynamic human-built structure able to fulfill intelligent tasks . By static one means (a control and control center), strategic center, a warehouses, data center a plant installed (versatile) on the Moon or in orbit around a celestial object, a data security center on celestial object on the surface, under dome or underground. By dynamics we mean a spacecraft, a submarine, an asteroid assisted by plasma motors, a helium-filled or hydrogen-filled aerostat (oxygen-free outer atmosphere) - used for the exploration of planets and moons. By dynamics we mean also a robot able to assist man in these displacements and missions, its morphology being suitably adapted to mission tasks. All GlycanSpaceXR missions or those of external missions entrusted this Agency. It is necessary to develop the proper “Decision Maker” robots and softwares that will led the proper realization of the missions. The global integrity of the main missions and of a collateral missions crucially depend on this. As a matter of security priority: The decision makers Robots will not qualified to participate (except in exceptional cases) in XR-MED or XR-SSD defense operations. 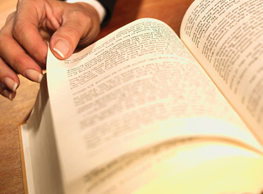 Exception cases are decided by specialized and accredited settlers in these areas. There will be multi-entry software that allow to send secure orders that will be analyzed and then accepted, rejected or requested for details and confirmation, depending on the related level risks and level accreditation concerned. The refusals are motivated and call for competency levels that only the settlers themselves have programmed and secured in advance. This possibility of refusal comes first and at the end only properly accredited human officers will decide after analysis. In the phases of refusal or stand-by orders, several settlers may intervene to confirm or decline orders in orbital conditions, moons or planets, so as not to compromise the missions, in case of conflict with the decision division, a division of the Board of Appeal records the procedural incident and the decision will be judged by a colonist or settlers with a higher degree of accreditation. There cannot exist in a colony on celestial object or in orbit, orders or decisions that may disrupt an entire decision while such a decision will whatever have to guaranty the safety of the colony. Robots in general will be equipped with Quantum Machines (XR-QM Mission) mission, 16 qubits would basically do some tasks, classical computers could also be used, coming years quantum computers will be necessary for the global safety of the Colony. Various countermeasures to neutralize possible attacks will be necessary, as well for the programming and software side as for the hardware side. EM (Destruction of intrusive software) by transporting EM loads on attacking site (physical electronic path or remote space way) consult (XR-SSD Mission). It is obvious that the banking world as we know it on Earth will have to be both adapted and profoundly modified for Space. Since these activities will be new and carried out in a new framework (planets, moons), economic rules will be different, economic resources being produced differently in a virgin setting and whose history will begin when the men, machines and robots produce an industrial factory. A major awareness is needed for all international land actors to set new economic rules in the solar system (consult XR-LAW mission). The banking world will have to be adapted and changed accordingly and a new CURRENCY will have to be installed which will not have compulsory parity with terrestrial currencies, since the activities in the solar system are new and carried out by new actors. We will both have to economically safe Earth on the one hand and economically safe the outer space in a coherent way. A new generation of Industry and Economy for the Solar will be born! These are themes and reflections that will have to be taken into account in the next SPACE Laws. These political or ethics themes are not part of our study. Human proximity robots are specially programmed to help and to control the vital constants (among other missions) of settlers and astronauts and CREWS (long treks) but also the colonists directing industrial programs or medical. This robots will “guardian angel” security vigilance levels. The first priority of this robots, if not permanent safety, is enhanced prevention. For example, the Human Proximity Robot will be equipped with a quantum-type controller currently being developed by two American universities, which will be able to check if the BBB (Blood Brain Barrier) has been compromised and if chemicals have disrupted certain brain lobes frontal lobe, seat of decision and command, this will be a real-time pharmacodynamic analysis safety. Apart from the first priority of those robots that is Human Safety the second priority will be Human Comfort and Well Being. Laboratories of “Simulants” for Extraterrestrial Mining and Refining. 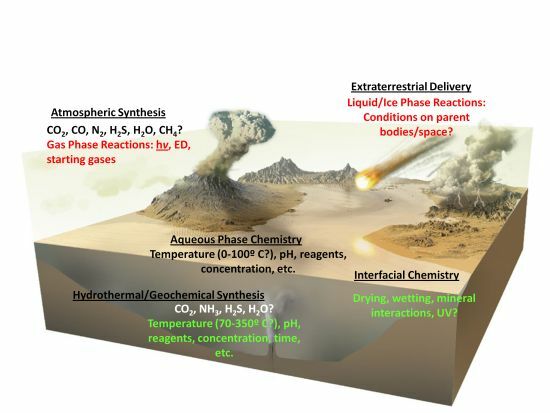 We consider that the best way to understand the geochemistry of terrestrial planets is to create Simulants laboratories using plasma technologies since plasma exist in celestial objects. The dynamics of molten rocks (magma in motion) in the Terrestrial, Micro-gravity conditions or in Deep Space should inform us about the para-magnetic properties of certain elements (Fe-Mn-Co-Ni, others -) and the display of an abnormal magnetism above of Curie points. The presence of Silicon should inform us if there is a circulating electrical charge within the magma. PLASMA SEEDED with separated components CO2-CO-Al-Mg-Si-Fe others (Enthalpy of formation) at ionized conditions. It will be interesting to study the formation of electric and / or magnetic fields following the high velocity ejection of magma, previously seeded in a plasma, NPLTE areas should have magnetic and electrical properties. Due to the external and internal temperature (core)of 5500 K (PLTE) telluric objects, only the interpretation of associated plasma states allows us to understand the kinetics of magma. As a result of the phenomena related to the accretion disk, all the materials were in the form of plasma at the time of the creation of the proto solar cloud, it is possible that several phenomena have been in competition, namely plasma relaxation (entropy) and the gravitational forces which were strong enough to retain and compress hydrogen and its isotopes and Helium. They are actually found by spectrometry of the heavier elements Silicon and Magnesium and rare gases, but it is possible that heavier elements were the object fission and are currently represented by rare gases. Earth, Planets and Moons, non-telluric planets. An accretion disk has been formed and many objects have been created including earth (telluric planets) and moons. For giants gaseous planets the theory of their solar origins (materials expelled from the sun), is not demonstrated, these planets do not possess a solid core of metal of the transition metal series Fe-Co-Ni-Mn others. Nucleogenesis leads to heavy isotopic elements, these isotopes of the giant gases of the elements of the series of transition elements are not found in the nucleus. 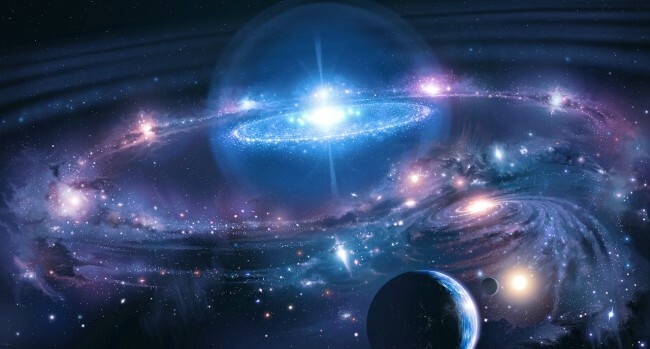 It could appear that the gravitational instability conditions were responsible for the formation of these giant gases, the masses of proto-materials He, H (gases-liquid-solid) was not strong enough to produce a fusion and lead to nucleogenesis and a solid core. All the hypotheses are to be debated, and might be the presence of several disks of accretion in the same big one disk, could explain the gravitational instabilities. Nuclear gases could have remained in a gigantic space and thus the nucleation by fission and / or fusion could begin and give rise to heavier elements such as Boron, Carbon, Silicon and then transition elements. The cooling of the atomic species then created could have given rise to mixed compounds such as silicates and radioactive products., formations of compounds such as carbonates and silicates. At the beginning of solar system formation, the Sun should be considered as giant nuclear source, the matter was concentrated in the hole of its cosmic genesis. The Martian and the Moon REGOLITHS are comparable in composition but not in radioactivity. The following NASA study of 142 pages is an enormous work indispensable to future man or unmanned colonization missions on different planets and moons, we deliver some significant and important extracts hereafter. The Moon soil regoliths are considerably less radioactive than the Martian soil. In 500 days, the Martian soil receives the equivalent of the lethal dose that affected the first “technicians cleaners” on TCHERNOBYL. The consequences are simple regarding the colonization of Mars (XR-COL Mission). An Agronomy on Martian soil, even under dome, represents a permanent danger for the crops and the man who will consume them. Conventional nitrogen fertilizers or other nutrients will be affected by ionizing radiation and toxic free radicals will be generated in soils , leading to significant toxicity. Excavation of the Regolith layer over 30 cm - transformation of the Regolith into vitreous plates which can be used in the Martian or orbital constructions, the neutralization of the radioactivity of the plates is not part of a study. When the regolith layer has been removed the culture is possible in situ. Agronomy on Mars soil under dome or underground are conceivable. These crops may be competitive or associated with hydroponic crops. Simulants laboratories on Earth will be indispensable to know the ideal mixtures of minerals in order to participate in the mining and refining operations on Moon-Mars others. This expertise will be used to explore deep layers beyond 1000 meters on Moon or Mars. Robotics will be indispensable, as there will be PERT plasma tools on the Moon and March, the delicate maneuvers of which will have to be entrusted to intelligent robots. On Earth laboratories experienced in drilling, excavation, construction, using PERT plasma tools will represent the setting up of an indispensable expertise to qualify resources and Industrial Robots. The robots will have to know the basic XRF and spectrometry spectral data and will have to make the decision to continue a drilling or excavation or vitrification of regoliths. Specialty coatings will be installed on the exoskeletons of the Robots in order to protect them from residual solar radiation and solar radiation. The aging of polymers is exactly known in the face of UV or radiation, as well as metal alloys or oxides containing impurities including oxygen or fluorides. The vital zones of the robots must be insensitive to EM fields because they are equipped with computer software. Quantum machines "in principle" include future quantum and assimilated computers, but the industrial future must be specified with regard to their applications to space projects. A large current media coverage of the first results obtained and transposed into the public domain have given rise to many industrial expectations which are at the laboratory stage but whose results collaterally generate mandatory uncertainties, in particular related to the phenomena of DECOHERENCE. As far as GlycanSpaceXR is concerned, our goal is not related to the domestic computer industry, but to the future quantum tools to be developed in space missions and colonization of the solar system and beyond. These missions of processing, storage and backup of industrial, military data or scientific information in planetary orbital zones, at first certainly will be installed on the Moon. The details of these missions do not fall under this first presentation of GlycanSpaceXR. These moon safeguards could also contain physically genetic lines of known species in another compartment of the planetary MEMORY, the lunar temperature on its hidden side allowing for proper cryogenics (27 K to 40 K). 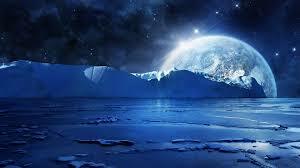 The Moon can be this sanctuary of information but also other moons of the solar system. It is reasonable that this storage would be active and underground (vitrified) not allowing the cosmic radiations to deteriorate the installed quantum machines. It is not known a lunar magnetic field to date, the core being solid, and the absence of dynamo effect can not create an intense magnetic field. There may be a random magnetism derived from meteorite impacts on the lunar soil(kinetics shock) in presence of rocks with iron or lanthanides or magnetic-iron serial. In any case these QM Quantum Machines version from GlycanSpaceXR are not sensitive to weak or intense magnetic fields and will be protected by layers of gold nanoparticles and Bismuth envelopes. It is worth mentioning that the QM we develop are not based on quantum systems linked to electronic sources. A lunar QM or Orbital interface would allow the registers to be updated without compromising their integrity. These QMs could not be subjected to physical intrusions, as we know them on earth but the corresponding CyberSec is still to be developed. Thanks to quantum cryptography we nevertheless have an almost completely invulnerable CyberSec soon available. Some simplified versions of QM could be installed in GEO Earth orbit and not in conventional orbits. The safety of BIG DATA in GEO orbit and others by means of several satellites with conventional computer systems is very vulnerable and could not represent proper security means for any sensitive data. The discovery of quantum entanglements was born at the same time as the quantum formalism and the experiments associated with it either to defend this discipline or to put it in difficulty. EPR Einstein- Podolsky- Rosen -PARADOX. 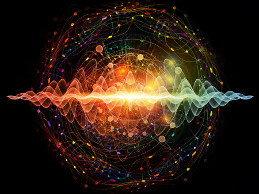 Since 1973 to the present day, many teams have been able to adequately demonstrate the phenomenon of entanglement and even to use it on a satellite (quantum teleportation). The quantum repository using bosons of which photons, considers that the system itself contains the tensors of decoherence which is added to the conventional external factors of decoherence (gravitons and in general cosmic radiations or possibly dark matter). In a quantum creation by a specialized experimental means, the referential at the moment of creation carries with it the operators and tensors(annihilation operator coherent state) which will express themselves or not express themselves according to the nature of the means implemented, hence the decoherence will exist or will not exist. It is a complex problem analogous to a quantum trace that will express itself or not to express itself. A priori, all the success of the experimentation resides in the resolution of this main problem of decoherence. Our Agency's quantum approach to this question is completely different and must eliminate the phenomenon of decoherence before the creation of entangled bosons (patent writing). HyperFineStructure which we believe could lead to experiments that cannot contain DECOHERENCE since the structure of atoms is stable except for radioactive decays (but also to be verified). Moreover the atoms can easily in the spectroscopy place be codified. The good knowledge of the HFS makes it possible to construct quantum machines which will not be subjected to phenomena of diffraction or interferometry linked to the experiment. The number of Qubits can be up to 64. These Quantum Machines having as their raw material some "noble" gases and crystals can be easily moved to other celestial objects or orbital stations or spacecraft in the solar system and beyond. It is not at all certain that Quantum (classical) or assimilated computers can withstand long treks in our solar system and beyond, in fact atomic or nuclear propulsion systems (obligatory for long treks) could neutralize them because radiations, the creation of intricate phenomena and paralyzing the means of calculating defense and exploration of spacecrafts. Quantum Machines spin-offs are AI Artificial Intelligence NNeurosciences and Genetics. 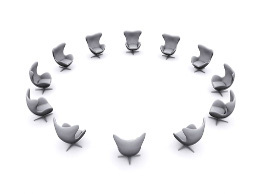 This discussion goes beyond the scope of XR-QM. Click here to be directed to a limited list to companies involved in quantum computing. For us at GlycanSpaceXR, our goal is not linked to domestic computers, but to the Quantum tools that have to be developed in the context of spatial and colonization mission. 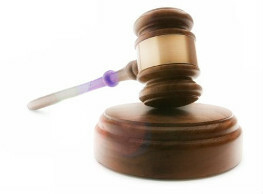 Space Law has been considered a serious matter since the beginning of Space Programs. This is a question that is taken seriously but that is also a very deep matter. If Space programs around the globe are still in 2017 as at their beginnings, they represent a part of the Future of Mankind, and this of course also from a necessary legal point of view. At GlycanSpaceXR we consider this question as a necessary part of our programs. We have three major Missions, XR-SDR (Space Debris Remediation), XR-ETMR (Extraterrestrial Mining and Refining), and XR-SR (Strategic Resources) that have to be supported by a proper Legal framework that still doesn’t exist but is emergent. 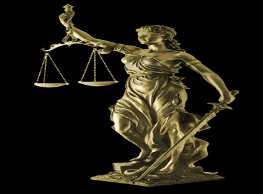 We have the technical and industrial means, we also work on their necessary Legal context. All around the Globe, governmental actors are beginning to engage in the kind of legislation that is needed for the purpose of the kind of missions we have. In 2015, the United States updated the US commercial space legislation with the SPACE Act (Spurring Private Aerospace Competitiveness and Entrepreneurship), in order to allow US citizens to "engage in the commercial exploration and exploitation of 'space resources' [including ... water and minerals]." In Europe, the Grand Duchy of Luxembourg, for example, has also begun to engage. The Grand Duchy of Luxembourg had already signed the Outer Space Treaty in 1967 but it is the first European Country to legislate on the exploration and use of Space resources. The Space Law was adopted on 13 July 2017 and effective from 1 August 2017. The Minister of Economy and Finance Etienne Schneider is the main International actor for Extraterrestrial Mining in Grand Duchy of Luxembourg, his powerful action has attracted several International companies in the Grand Duchy. Click here to have some official information about the Luxembourg Asteroid Mining Law. The Space Law has to become the proper legal framework for all such purpose. At GlycanSpaceXR we are dedicated to pursue this goal in our Mission XR-LAW with the best Ethic in mind and practice. EXAMPLE Related to Strategic Resource, Extraterrestrial Mining and Refining, and Space Debris questions. There are few such objects in our solar system , the nature of this object is coming from the CORE of one more large object (e.g. small moon). This first small moon lost his mantle and part of the magma , because of some several collisions with others asteroids, and the core composed with pure metals is now free of others composites as well as geochemical layers. The value of the nucleus of the asteroid is huge, as well for others in the same class X, but cannot be drill, because no tools are adapted for this mining. Only the plasma tools developed and patented by GlycanSpaceXR LLC USA can do the job. Necessary investments for the three decades would reach several Tr US$(trillion $). But if we consider the possible expectation to go and recover the matter of some asteroids (Class S for example) or of similar X asteroids and bring them back to Earth, even if we did it safely, the immediate result would be the entire collapse of the economy, because of the complete inflation and deflation at the same time of the market in all stock exchange places. The scenario predict for 10 billion humans over the planet, the personal wealth of 1 billion $ ! if the wealth was shared over the planet. To mine asteroids with help of good tools and machines in the solar system, will have political collateral effects. The experts will have to do the job by establishing new rules, new regulations, new policies and a new currency for Space Industries. As part of XR-LAW Mission we project to create the correspondent BANKING and colonization reserves of secured funds. Indeed if some resources are missing on Earth ,some infusion for Extraterrestrial Reserves would fix these issues, but not permanently infusing massively. The same as the kind of FED-IMF-WB intervention on the financial markets. The Extraterrestrial industries installed would be considered mainly as Strategic Reserves and not spread totally inside the markets for immediate profits. Else would have dramatic consequences, as for example a possible market collapse and the consequent conflicts. Reserves would be provided for some industries on Earth, and the Investors or States or both, would capt very important profits and huge ROI. For these reasons we consider the set up of a new currency as a powerful double-sided tool of profit for companies , included for Insurance Companies, source of dynamism for all actors of Mining and Refining industries as well as a powerful regulatory tool. This part of Space Law equation will constitute the more legal important part of the space adventure. Probably the Solar system colonization will generate a SPACE FEDERATION or similar , were all the actors in the Solar System will do the job opening the way for Mankind to this new frontier. From this point of view the heart of the XR-LAW Mission is Ethical, we have in mind to securely keep and maintain all the Economical and Political balance and prosperity in Outer Space. Moreover we consider the issue of Space Debris as the main current space safety issue to be solved in the coming years. 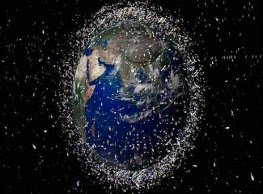 Space Debris is considered by everybody as a serious danger for all international satellites organizations, communications and future Space Colonization. Space Debris Remediation constitute the first immediate problem to solve, and satellite industries have to decrease their plans of important launches (12’000 ) over two years, and slow them down in order to prepare the job of space debris remediation and business plan for Moon and planets or asteroids. This is why at GlycanSpaceXR we also develop, as part of our Mission XR-LAW for our project XR-SDR (Space Debris Remediation), the Future of Space Laws necessary to fix, seriously, this issue. 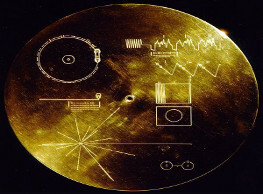 Moreover, launches in deep space, on planets or their moons, with the help of manned or unmanned missions in order to dig and/or drill would be unappropriated mission, if previously, a LAW ENFORCEMENT OFFICE for Peaceful Extraterrestrial Affairs and Commerce has not established the rules, regulations and policies. Note moreover that for the moment dig and carry precious metals or strategic resources back to Earth, is not a serious attitude, because RE-ENTRY procedures for Spacecrafts charged with minerals, such as Spacecrafts and their motor engines are not ready and secured, and the equation of favorable ROI is out our expectations. Moreover launching in deep space or on planets or their moons manned or unmanned missions in order to dig, and/or drill , will be unappropriated action, if previously the specialized tools are not manufactured on, and for, moons and planets appropriately. At GlycanSpaceXR we also develop and are the sole to have the necessary Plasma tools, in order to do this properly (patent writing). We have also in mind to develop the necessary Quantum Machines (Project XR-QM), a technology that will become not only useful but also necessary. GlycanSpaceXR plan consists in the creation of two laboratories for “simulation” in USA and in Luxembourg associated with powerful Intelligent Robotics (Mission XR-IR). The Moon will be the most appropriate place in order to check tools and spacecrafts, and to move the tools to the point of the preferred exploitation in Space. 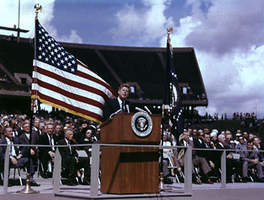 “We choose to go to the moon in this decade and do the other things, not because they are easy, but because they are hard, because that goal will serve to organize and measure the best of our energies and skills, because that challenge is one that we are willing to accept, one we are unwilling to postpone, and one which we intend to win, and the others, too. “ John F. Kennedy, Rice University Speech, 1962. In conclusion: there is no better expectable Future for Mankind that outer Space and its benefits for Earth, at GlycanSpaceXR we develop the technical tools and also the necessary legislation so that this Future will be kept safe, peaceful and fruitful. This text is organized in three parts, first we discuss some planetary resources, then we discuss the corresponding Strategic Resources and finally we discuss some questions related to chemical engineering in Space. This part of plasma physics is considered as the most important section of the behavior of plasma to be applied to Extraterrestrial and Planetary Resources , included mainly giant gaseous planets. Giant gaseous planets are a considerable source of gases, as well as HELIUM-HYDROGEN-Xenon-Argon. HELIOTORR STATION CAN BE INSTALLED NEAR THE SUN( station built with new materials coming from ultra-pure elements technologies elaborated in Deep Space or Moon). Click here to be directed to some information about isotopic abundances in the chemical composition of the sun. Click here for some related information about He-H2 -Ne -EM-particles and others. It is possible that the behavior of the solar plasma under MHD-MGD has organized a large part of Geochemical Genesis for planets far from the sun and which(solar objects) had previously been expelled from the star(the SUN)-to be considered as. ( MHD-MGD trace of nucleogenesis spread in the whole solar system). Solar System in considered as LOCAL COSMIC OBSERVABLE, where the traces are impregnated in each solid nucleus(solid or liquid CORE) of the planets of the solar system. Expulsion -Scattering of observables from the SUN. 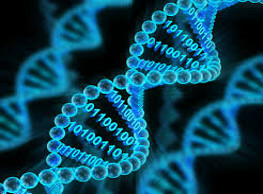 We can consider this GENESIS signal and its traces as "genetic code" in order to rebuilt GEOCHEMISTRY SYSTEM with life or not., in the solar system. 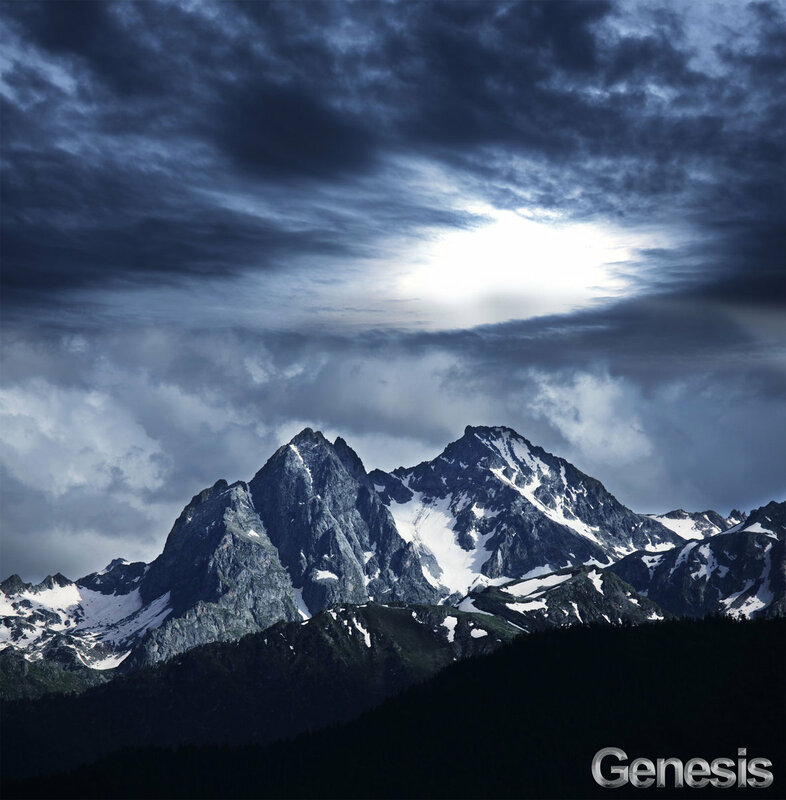 The GENESIS TRACE includes the WATER OH-H spectrum. It is clear that corona at 5 million miles from the sun reveals OH band spectrum. OH Hydroxyl radical is part of the WATER H20 molecule, so important for life. Click here for related information (OH and Solar Corona). The formation of the gas giants Saturn-Jupiter seems to confirm this phenomenon of active relaxation of the MHD, comparisons are to be envisaged with like cold planets. Click here for some information about Helium 3. Click here for some information about the Sun. Click here to be directed to some information about the related distances from the Sun. HELIOTORR- PERT STATION CAN BE INSTALLED NEAR THE PLANET ( station built with new materials coming from ultra-pure elements technologies elaborated in Deep Space or Moon). JUPITER constitute the most important reserve of Hydrogen- Helium-Water- and minerals, with 67 Satellites . Cell Collision technology with kinetic energy discrimination. The mix Hydrogen-Helium can be considered as the ideal plasmagene gaz, in order to proceed to atomic selection of abundances in space e/m, in the plasma refining engineering of the patent., in addition Helium is naturally present in the gas mixture in order to avoid mass uncertainties and discriminate atomic species. Water inside the Jupiter system could represent in itself the considerable reserves for Space Industries and Colonization, considered as the supermarket for Deep Space. Note: the presence of methane (CH4), ammonia NH3/NH4OH,Sulfur and aliphatic or aromatic hydrocarbons are to be added at the potential resources- in order to supply Agronomy in Deep Space or on several moons or around the Giant gaseous planets SATURN and JUPITER. JUPITER holds the whole ingredients in order to built organic chemistry industry. We can consider these giant gaseous planets as prebiotics models will be more rapidly understood, in order to create Algae source for Oxygen or nutrients among others substances. SATURN constitute one of the most important reserve of Hydrogen- Helium-Water- and minerals and water too, with 62 Satellites. Water inside the SATURN system could represent in itself one of the considerable reserves for Space Industries and Colonization, considered as the supermarket for Deep Space. RESOURCES: He 25% -H2- 75% - 1% CH4 and icy Giant structure and rings and satellites among them TRITON. NEPTUNE can be considered as a considerable source of plasmagene gases mixtures and prebiotic matters in order to support colonization. RESOURCES: He- 15%-H2 -83%- 2% CH4 and NH3/NH4OH traces , Giant icy planet, organic compounds and Rocky rings and 27 Satellites among them TRITON icy N2 compounds. The URANUS system could be an important reserve for prebiotics industry. For some information about what is the Kuiper Belt, click here. The energy at HELIOTORR PERT would be nuclear, because the sun power is not available. Total weight 200 times of asteroid belt (Jupiter-Mars) !- the Kuiper belt is considered as icy , but solid rocky matter could be confirmed associated to the icy layers and therefore can be mined by plasma tools technologies described in the patents, if the case was proved, the mining resources of water and minerals would be huge for colonization and good place in order to move forward in other systems with adapted spacecrafts. RESOURCES: Telluric planet-mineral composition ("similar to Moon"). The atmosphere of Mercury is constituted with traces of He,H2,Ne,Na and cannot be mined. The ground of Mercury could reveals 3He, because Mercury is the nearest planet of Sun( He-3He ejection from sun plasma at surface). In addition MERCURY could represent the ideal place in order to load HELIOTORR station. The HELIOTORR station (built on Moon) would be installed and parked on the Mercury planet, waiting specialized missions(not disclosed) (patent writing). HELIOTORR- PERT STATION CAN BE INSTALLED ON VENUS (station built with new materials coming from ultra-pure elements technologies elaborated in Deep Space or Moon)- but not ideal strategic situation. The escape velocity 10 km/s cannot permit for the moment to easily execute missions with space crafts or probes. Click here for some information about Venus. Click here for some information about ideal gases. In the space adventure and crusade the most important and strategic resource are water, rare gases. Precious metals come after, indeed gold has taken the leader place because only one stable isotope 197(consult dynamic periodic table here) and of its physical properties in cosmic ambiance among strong radiations and associated to Bi ( Bismuth) and others (not disclosed). Water is considered by advanced chemists or physicists as the first quantum liquid in the Universe and therefore in our Solar system or in others stars systems. Water is not only H20, this form can be considered as the monomer, but it exists in our biology as polymers mainly in membranes and Nuclei and DNA-RNA structures. Water is also existing under polymeric structures with different physical constants and properties, this could explain the unique opportunity to generate life from water-minerals-gases associated to magnetic or electrostatic fields under local gravity. These properties will be used on objects (Moon-planets and their moons- and near stars) in order to create prebiotics molecules. Water will be used in plasma chemistry , high-low temperatures catalyzors in space conditions. A new Chemistry is on its way to be born and several rare molecules will be elaborated only by modifying the gravity conditions, these technologies will be utilized in Space Medicine (Mission XR-MED). WATER will be extracted from mineral s(first stage of Mining and Refining by the means of Plasma tools) from planets-moons-asteroids. From water spacecrafts will generate H2 Hydrogen and Oxygen to be used for life, for engine propulsion and electricity power station with fuel cells. O2- OXYGEN will be a by-product of the Refining of minerals (Silicates,others). O2-Oxygen-Nitrogen N2 and Helium will be used to air crew support and generally inside the spacecraft. N2 could be found easily on Moon after refining minerals with plasma technologies, and liquefied. 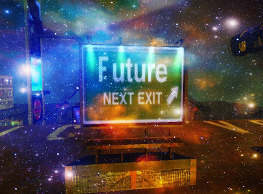 In Deep Space at present or near future 2025 it does not exist stations to refuel space crafts and it will be important to have on board powerful plasma motors , with RECOVERY TECHNOLOGIES OF ATOMIC SPECIES (heavy ionized atoms) utilized in dense plasma machines and avoid refuel of the spacecraft (patent writing). On Earth the REFINING process for natural elements and isotopes separation(natural abundances) is quite complicated because of the lack of technologies for vacuum. 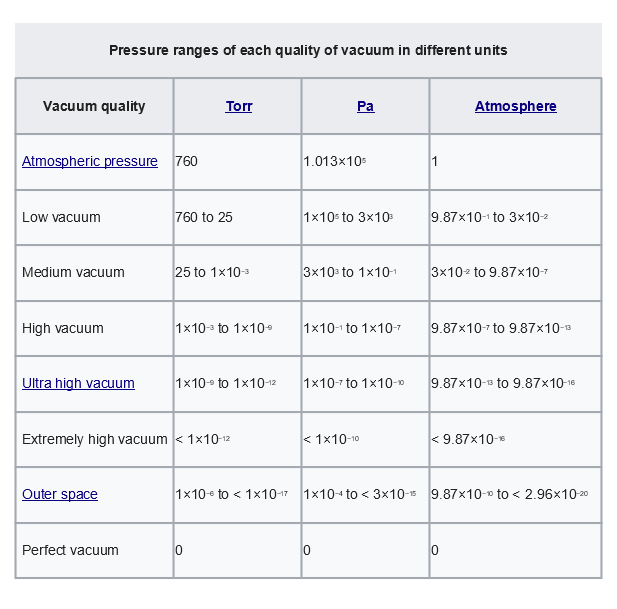 On the contrary in space we can naturally find ultra vacuum 10-12 torr to 10-14 torr. Without presence of contaminants, only cosmic radiations and some atoms per cubic meter of Hydrogen coming from our sun or other galaxies. DEEP SPACE is ideal medium in order to do Atomic Spectroscopy gF values Plasma Physics -atomic and plasma diagnostics - studies of free atoms- hyper-fine structures- collisions-scattering- studies with Colliders tools-fusion-fission. The only way seems to be Plasma sources (patent writing) , because at the beginning Scientists Pons and Fleischmann -Bockris generated Electrochemistry plasma in water by the means of electrodes. The way is electrodeless plasma technologies ! 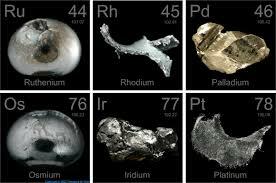 Precious metals on the Earth are: Pt(Platinum)-Ir(Iridium)-Os(Osmium)-Pd(Palladium)-Rh(Rhodium)-Ru(Ruthenium)-Au(Gold) and Ag(Silver) are assimilated to PMGs Cu(Copper) and Mercury(Hg) are not fully precious metals. Even Mercury in Deep Space could have a role in gravity machines and seeded dense plasma (propulsion). Others metals have to be considered as precious elements as well as Hf(Hafnium)-Re(Rhenium)-Nb(Niobium) because of their specific use in electronics. With the help of ultra-vacuum conditions in deep space, some metals and their natural isotopes could be reached to prominent place in the casting for Space Industries mainly for quantum machines and propulsion. Some natural elements(and their isotopic abundances) as well as Si(Silicon) or Fe(Iron) or C (Carbon) considered as commons on Earth could take the prominent ranking for Space Industries and Research , alloys and pure crystals for Quantum machines and large structures(Missions XR-SPACI and XR-COL) and NEURAL-ROBOTICS (Mission XR-IR). e/m Ultra-Separation for D,T,He , this discussion cannot be disclosed. LANTHANIDES (Ln3+) or Rare Earths and parents Y(Yttrium)-Sc(Scandium). 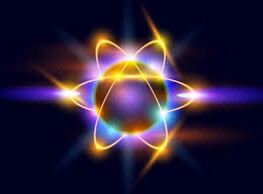 Tc (Technetium) as radioactive elements short life 6 hours, could be an important actor in Fission and Fusion experiments (Plasma Chemistry associated with ultra-pure catalyzors, and mainly water). Click here to be directed to some information about Lanthanides, have a look especially at the applications section. Thanks to the availability of ultra-pure grade elements under e/m plasma(GlycanSpaceXR Patent)plasma tools, we can imagine powerful applications in Physics , included in the creation of ultra pure Lanthanides Y, Yb, in order to be used with LASERs. Time-Crystallography will use the quantum properties of Lanthanides in order to create "time-Crystal" of Yb atoms. The recent discovery of the feasibility of Time Crystals leads to possible very interesting applications. From our side we already, 1991-1997 Madrid INPI, made some discussion about Time with analogies with mater, as for example a concept of time in particular state of plasma, therefore as physical and quantum observable and not as simple duration of events between two events. The results of these quantum experiments could lead to Quantum Machines in deep space without decoherence, the targets are numerous included in theoretical quantum physics. We can consider in Space Fe(Iron)- Si(Silicon)-Bi(Bismuth)-C(Carbon) as strategic elements (new crystal-synthesis) in Deep space) thermal and radiative transfer protection. Others elements as well as W(Tungsten) and Rn(Radon) could play an important role in plasma chemistry and seeding of plasma and for Large structures to be built in Space, for Stations or Spacecrafts. 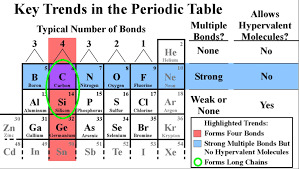 Preliminary remark: this is to make the reader aware that Synthesis of Terrestrial Chemistry was naturally built on known bases of the natural elements Mendeleiff table (also valid for extraterrestrial space), but according to standard conditions STD, that are different in Space. On earth and entropy reigns in all synthetic chemical systems - Entropy and Thermal Equilibrium -(TE) THERMODYNAMICS. ENTHALPY and ENTROPY of EARTH are linked because Earth receive energy from the sun. The CORE of EARTH(inner core (solid)- (outer core (liquid) , inner layer magma) provides energy to upper layers of mantle, and lithosphere and atmosphere therefore EARTH loose Energy(Entropy). 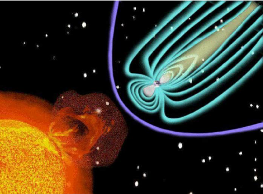 The movement of cores and magma are to be considered as of Magneto-Fluids providing to Earth Magnetic Field (SHIELD) opposed to Cosmic and Solar radiations. When the movement of core and magma will stop, the Earth will become with no atmosphere and no life, as the Moon. These states will be present in the extraterrestrial chemistry that GlycanSpaceXR Agency proposes in Plasma Chemistry. The Chemistry on Earth, has been established under STD (Standard Conditions) temperature range (-40°C)-(+70°C) and pressure range (700mbar to 1100 mbar)-for atmospheric matter (water-gases-microparticles or nanoparticles)-and for water 1°C to 35°C oceans and rivers. The chemistry since decades in Laboratories has developed huge capabilities in order to construct organic molecules and inorganic molecules and also semi-organic molecules, the catalyst substances are mainly metals for organic chemistry Sabatier -Lenderens- Grignard, others. ABSTRACT:"The Earth system is remarkably different from its planetary neighbours in that it shows pronounced, strong global cycling of matter. These global cycles result in the maintenance of a unique thermodynamic state of the Earth's atmosphere which is far from thermodynamic equilibrium (TE). Here, I provide a simple introduction of the thermodynamic basis to understand why Earth system processes operate so far away from TE. I use a simple toy model to illustrate the application of non-equilibrium thermodynamics and to classify applications of the proposed principle of maximum entropy production (MEP) to such processes into three different cases of contrasting flexibility in the boundary conditions. I then provide a brief overview of the different processes within the Earth system that produce entropy, review actual examples of MEP in environmental and ecological systems, and discuss the role of interactions among dissipative processes in making boundary conditions more flexible. I close with a brief summary and conclusion." SUMMARY AND CONCLUSION:"This article started with the simple question why the Earth system is maintained in a state so far away from TE despite the natural direction towards mixing matter and depleting sources of free energy. A simple toy model was used to demonstrate that the exchange of energy and/or mass with the surroundings is a critical component that allows systems to evolve away from TE without violating the second law of thermodynamics. The application of the proposed principle of MEP was classified into three cases with contrasting levels of flexibility in the boundary conditions. As the flexibility of the boundary conditions increases, the state of MEP also typically corresponds to the state of lowest entropy of the system that is furthest away from TE. The evolutionary direction of the Earth systems away from TE can thus be understood as a consequence of the MEP principle." "I then explained the irreversibility of a range of the Earth system processes, provided a brief overview of the Earth's entropy budget, and discussed how the dissipative activities of processes interact and affect the boundary conditions of other processes. This mostly qualitative discussion hopefully provides a perspective for the future that demonstrates that non-equilibrium thermodynamics and MEP provide a theoretical framework for understanding the vast range of the Earth system processes." 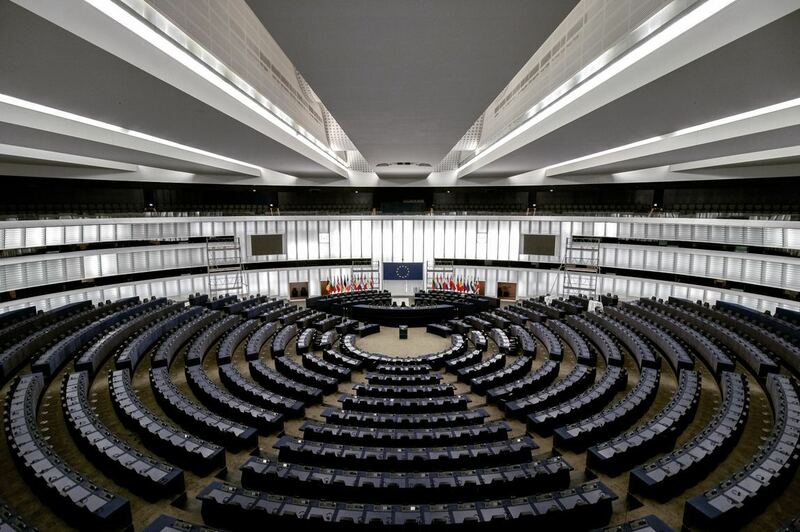 "Two examples were discussed for which the MEP principle should be highly relevant. First, MEP should provide us with a holistic, quantitative theory of Earth system functioning that should allow us to better understand the functioning of different Earth systems, reconstruct their past evolution, and to better formulate the impacts of human modifications for the future evolution of the Earth system. Second, MEP ought to be the recipe to get better parameterizations of unresolved details for large- to planetary scale descriptions of Earth system processes. In fact, it should give us the best parameterizations possible given the constraints that are explicitly resolved in such descriptions. In this sense, MEP is not just an interesting idea, but should be highly relevant for a better understanding and prediction of the Earth system dynamics." Extraterrestrial Chemistry will necessarily be different from Earth Chemistry. Indeed the standard conditions STD which rule on the other planets of the solar system are very different for Mars for example: The minimum temperature on the surface is -143°C, the average temperature is -63°C and the maximum temperature is 35°C. The temperature may be suitable for basic operations of physical or catalytic chemistry - gravity being 2.6 lower than on earth, it will be necessary to readjust the parameters of the chemical reactors (rates of different reactions and choice of the best catalysts) which is not a real problem. As far as the synthesis chemistry of SABATIER-LENGERENS is concerned, contrary to what is often found on the Internet, in the field of spatial conquest, namely that on an active catalyst bed and a CARBON promoter, hydrogen may generate methane CH4. Unfortunately, this reasoning is not consistent with catalytic chemistry. The local temperature on the ground is at best 35 ° C., the carbon bed (C) must be heated constantly, important thermal energy input. It will be essential to find sources of fossil Carbon (the soil of Mars on the surface does not seem to possess, perhaps CURIOSITY ROBOT will find). It will, however, be possible to remove the Carbon from the Silicates or from the Mars atmosphere (CO2) - an important external energy input. The source of Hydrogen (H20) will certainly be found in depth (ice lakes) and in polar regions (S-N). In conclusion for the planet MARS, it will be possible to practice local chemistry, subject to possessing (nuclear) energy sources in order to carry out these vital industrial operations. 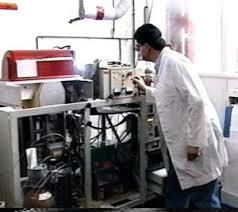 We consider that the plasma tools can replace all or part of this conventional chemistry. For the other planets of the solar system, there must be considerable improvements in conventional terrestrial chemistry and the application of plasma chemistry proposed . Regarding the source of methane CH4 , TITAN could be huge resources for ORGANIC CHEMISTRY or semi-organic chemistry. INDIRECTLY MARS could produce a huge quantity of CH4 Methane as a by-product of photolysis conversion of CO-CO2 in presence of H2 giving CH4 and H20-Fischer–Tropsch reaction, the plasma tools would be applied, better than natural photolysis from the Sun radiation., CH4 in presence of H20 will provide methyl radical -CH3, promoting immediately semi-organic catalyst compounds. But methane CH4 is not the only raw material for organic chemistry, AROMATIC CYCLIC CHAINS will be also elaborate using aliphatic chains- methane-ethane…or other double bonds chains. It will not be possible to exploit asteroids on site with terrestrial chemistry and to separate precious or common metals! only we could dig and perhaps extract the minerals from the mines. Only on sites high temperature chemistry could be applied as well as refining using Agency techniques. Even asteroids of type M or rarely X can not be exploited or refined in Deep space with classical chemistry. The repatriation of mining products to the Earth must be considered unrealistic at the moment. Even ignoring the financial cost of returning mining products to land, space-saving re-entry technologies do not yet exist, only a proven disruptive technology might be appropriate to avoid the danger but these motors do not exist yet. The return to the Moon or Mars solution might be suitable and refined on site, but there is as yet no moon mining industry base that can accommodate the spacecrafts of ore carriers and the application of technologies. Moon refining can not be done as it is, only high temperature chemistry methods could be applied (just as for Mars and others). It seems that before any hunt for asteroids and their future exploitation it may be crucial to create the conditions for storage of the future ores on MARS or the MOON and to install refining stations on Mars and Moon or elsewhere, nearest areas to Asteroids (belts) - and test robotics and protection for human expeditions on these celestial objects, facing the danger of EM-particles-Solar and cosmic radiations, but also to improve the spacecrafts and engines necessary for the return of shipments and refining products in a reasonable manner keeping the equilibrium of the stock exchange on the Earth, not to be upset, by contributions of enormous mineral wealth. Agency develops missions for space research and the application of plasma techniques in the DEEP SPACE, but also prepares the industrial and technological tools (7 patents writing) applicable to the Moon satellite, but also for other planets and satellites. This is the way the missions of GlycanSpaceXR will validly contribute to colonization in the solar system and beyond. 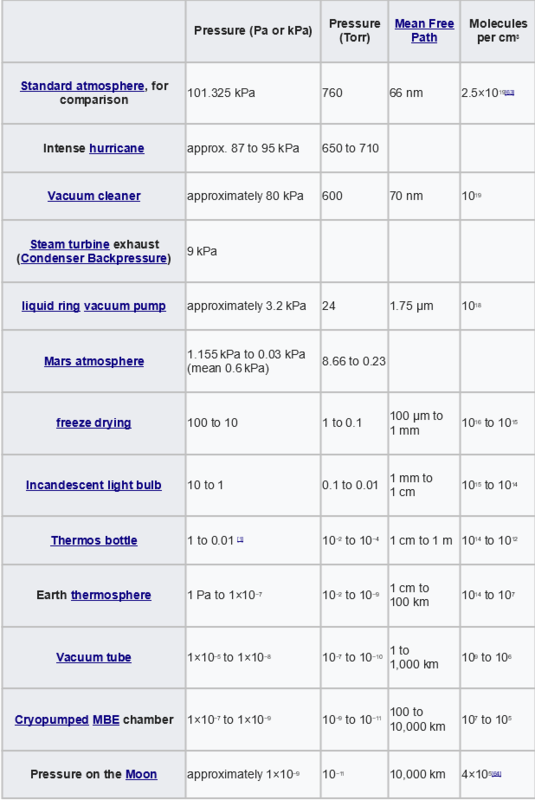 The extreme vacuum existing in the deep space represents the ideal conditions for the creation of plasma both theoretical, experimental and industrial (see the attached tables bellow). It should be noted that on Earth the contamination of the high vacuum originates from the nanoparticles of the vacuum pumps and O-rings and nano-distortion of the parts exposed to an ultrahigh-vacuum and the crystalline nature of the metals forming the alloys which always contain impurities included Oxygen which link to alloys, rebroadcast in the vacuum enclosures. Agency technologies should use ultra pure alloys of the order of 99.9 (9)% nine (9) after the point. We are limited on Earth to 99.9 (5)%, five (5) after the point. These ultra-pure materials will be obtained in the deep space or in the HELIOTORR orbital stations. In the DEEP SPACE the obtained vacuum values are 104 lower than on the ground with conventional molecular or diffusion pumping systems, so the background noise associated with the mean free path of a particle can be considerable 105 km to 10 7 km. The deep space away from a plasma wind (star) contains only 1 to 3 atoms of hydrogen per cm3, these low values make vacuum a considerable scientific tool for space industries, cryogenic conditions of the order of 5 K to 10 K favor the industrial exploitation of rare gases or certain rare earths-(Ln3+) of which Yb and elements of transitions. At the theoretical level, the results obtained and the contracts between the industries and the International Agencies and Laboratories must be absolutely protected. 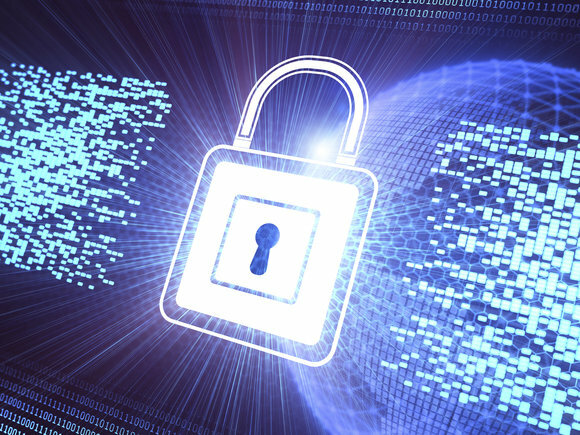 We expect to use the new QM Quantum Machines for security and data protection, and DEFENSE. GlycanSpaceXR missions are affected by these necessary safety. Moreover, the conventional bio-metric protections will have to be improved and supplemented by genetic and radiative signature. This discussion is not part of this Agency's public presentation. As indicated in our analysis, Agency wants to move the physical and chemical industries into another industrial dimension in order to meet the needs of colonization in the solar system and beyond. Our expertise since 1979 to date should be able to help reach this new frontier with the help of National and International Agencies and Laboratories. It is therefore essential to train the Engineers to these new security from the quantum machines. This will constitute a great intellectual passage, including for theoreticians, physicists and mathematicians who will have to accustom themselves to the diversity of intelligence of matter and energy. Indeed, our terrestrial binary logic is based on the values of the bytes 1 or 0, imagine an algorithmic technology which would use the values 1 - 0 but also the variables to be classified trivially as "maybe" to the number of 8 to 64., therefore more than two bosons entangled serial, already discussed in XR-IR mission. These hidden but pure variables observable in the repository would match the results of analyzes with a much more acute logic even in the presentation of uncertainties. The results obtained would yield series of numbers and numerical positions but also Hamiltonians to interpret, as related to the "analytical judgment of the obtained values". The QMachines could match the results obtained with completely valid "precession" values with the experimental formalism of quantum mechanics. 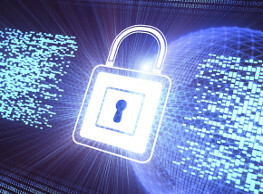 Cryptography security would then have an unprecedented powerful tool to secure XR missions, their transmissions and storage of data on celestial objects and their satellites or in orbital stations as needed. We consider by the word defense the means used to protect vital programs, but also the compulsory response in order to limit the extent of possible damages. and damage inflicted on missions. The main goal of our Mission XR-COL is to set up the necessary technologies and the necessary Security that are needed at first for any coming Space Colonization. The plasma tools we have got at GlycanSpaceXR are necessary for exploiting the needed resources (consult XR-ETMR, XR-PRSE). We also develops materials for analysis of soils and local atmospheres using ICP-MS-GC-XRF-Magnetometers Radars, technology of analysis that will be provided by spacecrafts or shuttles. 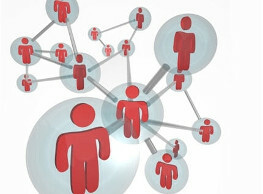 It is necessary to have a board of geochemists, geophysicists, physicists and astrophysicists, in order to analyze the risks associated with superficial or deep exploitation. Techniques of Civil Engineering, Building Engineering, and Architecture, specialized in Underground and Surface Construction will be adapted to Space Bases. It will also be necessary to have Data Centers for the consequent information processing and communications. This require the development of the consequent security both on the hardware and on cybersecurity sides. We will have secure storage underground (big data of colonization activities, QMachines) previously tested with nuclear bubble chambers for fast and heavy particles that can damage the data. The use of quantum computers and their storage will be necessary but also greatly simplified without decoherence (especially in deep space, consult XR-QM Mission). If ultimate danger on a colonized object we will have to provide the necessary safety. For example by ejection and evacuation of DATA CENTERS (QMachines). We can provide some useful protection with metal envelopes of Bi (Bismuth) and alloys that are special interfaces that can convert radiations and Electromagnetic flows into stored electricity. This could be used, for example, for plasma motor engines with an associated MHD-MFD and/or EM drive. DATA CENTERS with Quantum Computers, depending on the model and features will be coupled with pure crystals Si memories (evolved) - Flow control rods, pure carbon-doped silicon and Diamonds Ln+3, Y+3, Yb+3, Sc+3. Special attention is introduced for Quantum Machines with fundamental discussion of gF oscillator strength of precise natural elements(patent pending). The underground DATA CENTER could be sent to an appropriate destination if an event of imminent danger or could be coupled with a back-up from an orbital station near the colony. Measures of detection and actions against dangerous asteroids, cosmic and/or solar radiation will be implemented. (see for example XR-SHIELD for NEO-LEO-DEEP Space Plasma Shields Technology). On the object ground, we prepare what will be the Humans and Robots habitations as well as men and robots-new space suits. For example we develop Electrostatic Machines, anti-dust-fixed-mobile and embedded(patent pending). Thanks to the resources obtained (XR-ETMR and XR-PRSE) we will be able to manufacture hemispheres under atmospheres capable of sheltering all or part of human and robotic activities. Accompanying astronauts and robots will have to work under some inert atmosphere of Helium or Argon, in reserved hemispheres. The presence of oxygen or nitrogen and cosmic radiation can create free radicals that can damage sensitive circuits. Bio-metric, biological and mechanical, electronic Medical devices will be delivered to the astronauts and explorers to protect them from cosmic and solar radiations. The hemispheres reserved for men may include a double layer (10 cm Ozone thin layer) and composed of type doped polymers "quantum effect in some matrix " that can absorb and immediately transform harmful radiation in electrical or magnetic fields (electrodes of selective reactivity MHD). It will also be needed to develop the agronomic engineering, protein synthesis and pre-biotic synthesis. All this will be coupled with the necessary security measures to keep strategic resources safe. This includes the protection of nuclear sources. (Weapons and similar are not part of our study). First of all it is essential to create robotic and human training laboratories in order to respond to situations of extraterrestrial explorations which will represent one of the greatest challenges for human beings. The rare gases He will be obtained using the PERT- plasma tools machines. New Portable XRF and portable Plasma Tools and Radars will be made available to explorers in order to test rapidly the soil and to measure especially the melting temperatures and to deposit markers of geodesic landmarks. This mission must be considered as most important for long term survival of the human species and for the colonization of the solar system and beyond. We need to know whether our ground-based technology or our embedded satellite technology can influence the orbits of objects (celestial asteroids) or even destroy them, these objects coming from known Oort-Kuiper belts, or random trajectories object that can enter the solar. Target size of 30 m to 800m Euler diagram and NEOs. The chemical composition of the asteroids should influence the consequences of a shock with the Earth's atmosphere and the terrestrial lithosphere. The loss of friction mass in the atmospheric reentry is directly proportional to the inlet angle of the asteroid. The loss of mass by friction constitutes a situation which will reduce the consequences of the thermal and vibrational and mechanical shock wave on the other elements in presence, this being able to represent a small consolation compared to the mechanical and thermal shock or a temperature of 6000 K in the crater which will relax for several tens of hours or even days and will spread at a speed of 600 mph in the center and after relaxed. If the Earth's atmosphere is considered as a material fluid, its mass will be displaced and cause considerable climatic changes. The shock wave will cause changes in plate tectonics, oceans and geological fractures (in the event of near shock these areas). These catastrophic situations are widely studied and commented about. This situation of deep impact, causing the dispersion of terrestrial dust in the atmosphere (from the troposphere to the thermosphere). Solar radiation will not be able to penetrate properly and carry out its mission of photosynthesis, and the prognosis of life on Earth will be engaged. It is evident that large objects composed of at least 60% of ice will certainly be disaggregated at the time of atmospheric reentry, by probable fracture of the object, the water trapped in the form of ice will thermally transmit this temperature gradient to the internal layers of the object, even if this event only occurs for 4 minutes. It is trivial that asteroids of type (classes M-S-C or more rarely X )will be not disaggregated at entry. Click here to be directed to some information about asteroids types. Programs to detect objects such as asteroids are considered to be the most important in the prevention of risk, its qualification and grade. Risk prevention measures involve mandatory intervention on the target (asteroid) or asteroids. At this level and at this time 2017 there is no embedded or terrestrial technology that can destroy or deviate the center of mass of the asteroid. 9. Device for the implementation of the process for treating by plasma products comprising metals, metal salts and metalloids in order to release energy according to any of the preceding claims, characterized in that it comprises a treatment circuit (1) including at least one ablation chamber (2) in which is formed a plasma in order to introduce said products within said plasma, an acceleration system (14) for forcing said plasma to circulate within said treatment circuit, a plasma temperature adjustment system (14, 23), an exothermic reaction chamber (18) including at least an input for conducting an injection of at least one reaction gas in said treatment circuit such that it reacts with said products for conducting an exothermic reaction of the latter, means (21) for collecting the energy released by said exothermic reaction of said products. 10. Device according to claim 9, characterized in that it comprises a heating system (14) for transforming said products in rive micro-particles or nanoparticles before said plasma together with said products are inserted within said exothermic reaction chamber (18). 11. Device according to claim 10, characterized in that said heating system comprises a MHD-MGD system (14). 14. Use of the device of any of claims 9 to 12 in an irradiation converter when Silicon is used in the implementation of the process. 15. Use of the device of any of claims 9 to 12 in a space propulsion system when Aluminum is used in the implementation of the process. It should be noted that the invention may be carried out either on Earth or for conducting exo-metallurgy on other planets. It may also be implemented for energy transfer in space and ground propulsion. The gases to be used may be extracted from the ground of such planets, for example if the planet atmospheres do not comprise the necessary gases to generate plasma. PERT (Plasma for Extraterrestrial Resources and applied Technologies) report 1981 addressed to JPL-NASA Extraterrestrial Material Processing. On the other hand, nuclear means of defense against asteroids based on Moon should be suitable, the kinetic energy to be mobilized on lunar soil being much lower and plasma and mixed (hydrogen and chemical) engines assisted by nuclear charges would be very effective in getting to the objects and correctly adjusting the orbits and reach the targets with an accuracy of a few meters. This interesting technology will only come into being in a few years or decades, the time it will take for human and robotic colonization on the Moon to be effective, it may be important to house such defensive weapons on the hidden side of the Moon. Unless there is an error or omission on our part, there is no proven way of destroying an asteroid from the ground, either with lasers based ground or lasers embarked on satellites or shuttles. In addition, the power of current military lasers does not exceed 10 MW - it would be necessary in pulse mode to generate at least 100 MW in order to modify the center of mass of the asteroid and thus its orbit. This technology could emerge and could be applied on the moon for the defense of our civilization. VERY INTERESTING DISRUPTIVE TECHNOLOGY OR TO BE MODIFIED. Click here to be directed to some related information. NASA is considering transforming a dangerous asteroid into a dynamic kinetic complex, combined with engines previously embarked on one or more spacecrafts that should be docked or anchored to the asteroid and deviate from its orbit. The aim is to use the resources of the asteroid nucleus and to eject the molten materials using a deep LASER ablation and to use this kinetic to maneuver the asteroid. Several solutions could be envisaged, depending on the nature of the asteroid, either exploit it or destroy it, or divert it towards ellipses that are not dangerous for the Earth, or use it as spacecraft for surveillance in a given solar region. The RAMA project is considerably interesting, but as in the context of a lunar defense base, there are still no power lasers sufficient to perform this ablation and fusion of the asteroid nucleus and to consider this nucleus as a source of propulsion. The lunar base seems very interesting and logical to build an ANCHORING or ANCHORING VESSEL on asteroid, equipped with laser technologies or even nuclear technologies for power. We believe we can propose plasma solutions that do not require the removal of the asteroid nucleus (patent pending). The most important and delicate operation will be the anchoring of the external vessel equipped with plasma motors on the ground of the asteroid (patent writing). Click here to be directed to related information. DART is a brutal collisional kinetic project with a probe that should transmit sufficient kinetic energy to two asteroid objects of several hundred meters (dimensions), the project could be completely satisfactory to the condition, it seems to us that it can transport a nuclear charge, the vessel should weigh at least 1 ton outside its embedded nuclear mass. In these "one shot" operations the only uncertainty remains the propulsion energy on board in the absence of any solar radiation and the safety of communications and robotics firing of the nuclear charges as near as possible to the asteroids. There is also the possibility to approach asteroids and place nuclear charges capable of developing several thousands of K Newtons sufficient to disrupt the center of mass of the asteroids, indeed asteroids with a diameter of 1 km whatever their composition (S-M-C-X classes) would cause catastrophic damage certainly irreversible. Indeed, nuclear technologies seem to be more developed on earth than the space propulsion technologies that would make it possible to reach asteroids in all certainty and security. GlycanSpaceXR considers the sun as one of the most interesting current sources of matter in plasma state. Living far from him, but also by his side and benefiting from his influence, made us forget that he would be our best partner for colonization in the planetary system. The use of solar plasma and their radiative emissions, can provide the means of propulsion and defense of our civilization for the future colonization missions in the solar system for another 2 billion years, logically understood against asteroids or other threats. It is evident that our principal star the SUN, represents well the main source of energy hence of life. For these many reasons, GlycanSpaceXR uses for these future missions the name of HELIOTORR. These materials will be obtained from the missions that Agency is developing with its present and future partners, mainly patented plasma technologies. These ultra-pure materials will be endowed with properties of resistance and resilience to heat and radiation, but also some will transform the radiative energy into electric and magnetic energy directly usable in propulsive energies. The spacesuits of the settlers will be made from these materials as well as robots and big DATA storage centers (QUANTUM MACHINES no-decoherence) on the planets or their moons. 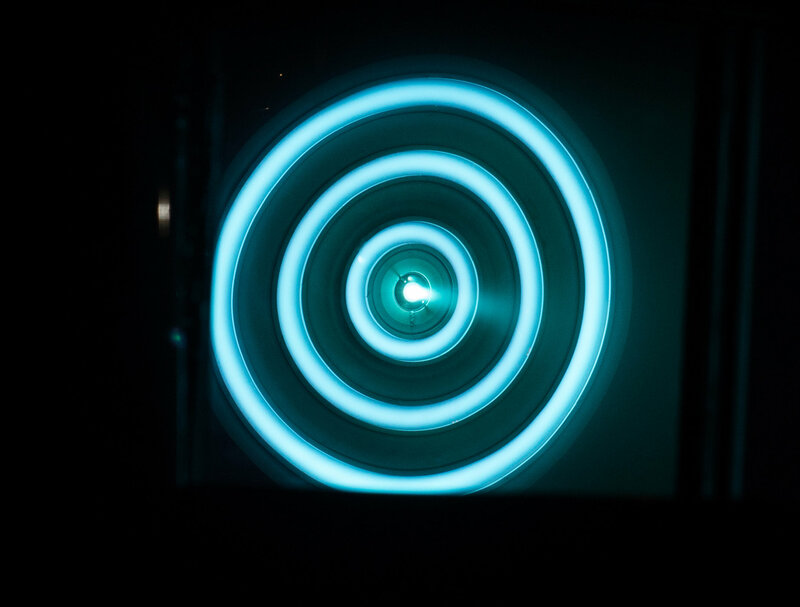 Click here to be directed to some general information about plasma propulsion. EM DRIVE (checked by NASA). This technology considered ten years ago as disruptive technology or esoteric because born at home , has been experimented in several Institutes worldwide and expressed in Newton is only with 0.n-mN/kW results. The spacecraft will need KN, therefore it's a long way to achieve the goal, the embarked available energy could reach 20 to 80 MW, only nuclear power can supply these quantities, conventional fuels will not help. Even if the pressure of radiation is very low, one can image some prominent results in Deep Space, with important source of EM waves, produced via lasers or nuclear, fission-fusion. These important velocities will generate problems of detection "real time screening" of deep space objects of debris or small asteroids. The help of Quantum Machines could play an important role for the security of Spacecrafts and travels into our solar system or nearest stars. Scientists are expecting this technology or modified technology for 2050, only, if definitively adopted by Spatial industry. 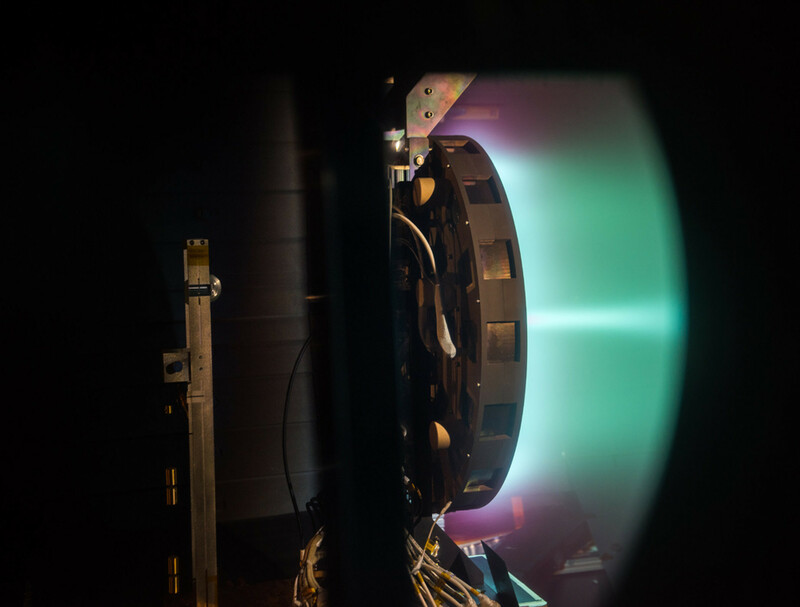 This technology could open the way for the understanding of Gravity forces and others possibles spin-offs for (Plasma Engine Motors, in which we trust and work). For this technology the more important will be to apply new ultra-pure alloys in order to replace copper cone resonance cavity. Click here to be directed to some information about possible military applications. Click here to be directed to other information related to the patent. Click here to be directed to some information about the X3 thruster (October 2017). It is known that Humans DNA, RNA and tissues cannot be exposed to solar or cosmic radiations without severe damage. Despite of the fact that the astronauts are poorly protected with their spacesuits, the astronauts cannot wear permanently spacesuits even with lead or gold or Bi (Bismuth) for 20 kg or more. The current life of astronauts would be highly stressing and could lead to misconduct among the crew, and the mission could be aborted or delay with important failures. 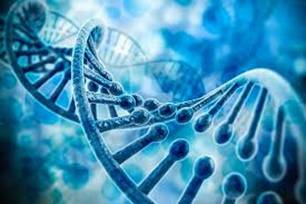 Can the DNA-RNA be modified in order to absorb radiative energies from cosmic or solar environment ? Can Carbon be substituted by Silicon (nucleophilic substitution SP3) ? What is the genetic response in the case of these substitutions, C for Si ? Why Si such special molecular compounds ? It has some similar properties to Carbon. Effects on the mitosis process and stages in the case of C-to Si in Deep Space ? Effects on the STEM CELLS (Si for C)? PROTECTORS AGENTS in vivo against free radicals ? Apoptosis signals CASPASEs 3-8 in deep space. Other GlycanSpaceXR protocols are not disclosed in this public website. Click here to be directed to other Space related Health risks. UCI's Charles Limoli and colleagues found that exposure to highly energetic charged particles -- much like those found in the galactic cosmic rays that will bombard astronauts during extended spaceflights -- causes significant long-term brain damage in test rodents, resulting in cognitive impairments and dementia. Their study appears in Nature's Scientific Reports. It follows after last year of work showing somewhat shorter-term brain effects of galactic cosmic rays. The current findings, Limoli said, raise much greater alarm. "This is not positive news for astronauts deployed on a two-to-three-year round trip to Mars," said the professor of radiation oncology in UCI's School of Medicine. "The space environment poses unique hazards to astronauts. Exposure to these particles can lead to a range of potential central nervous system complications that can occur during and persist long after actual space travel -- such as various performance decrements, memory deficits, anxiety, depression and impaired decision-making. Many of these adverse consequences to cognition may continue and progress throughout life." Click here to download some information about other radiation related diseases. Click here to be directed to some general information about space radiations adverse effects. Click here to have some general information about the effects on Astronauts Lungs. Click here to have some information about Mars Missions related Risks. 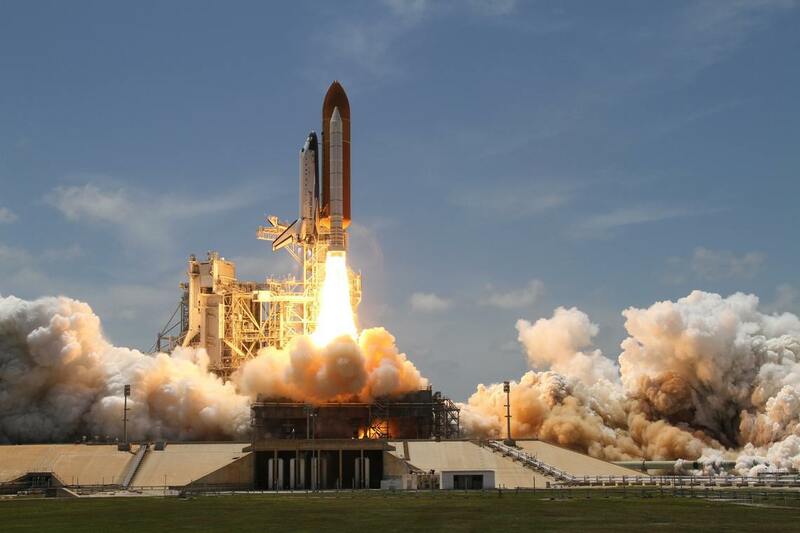 GlycanSpaceXR looks for shares and collaborations with International specialists and Institutions in order to check existing formula elaborated by GlycanSpaceXR 2016-2017 mainly to be applied to Neurodegenerative diseases and prepare in good conditions future space flights. GlycanSpaceXR is moreover currently working on new PROTECTION materials for SPACECRAFT-PROBES and for future Colonization. Please consult the sections Missions XR-COLONIZATION and XR-SPACI. Note: several satellites and other planets have already been the subject of technical remarks in this Agency presentation. The purpose of our mission is to determine which means are available to the first settlers in order to install a colony on a celestial object (planet or moon) or on an orbit, that would possess considerable resources capable of ensuring their survival. It is reasonable that the first settlers would arrive in limited numbers aboard of a spacecraft originally built on the Moon or on the terrestrial or lunar orbital place. Indeed the release speed of ejection on the Moon is lower of 1/6 compared to that on the Earth and the construction of a spacecraft destined for colonization, could be dimensions of 300-500 meters (poly-shaped:cylinders-spheres-toroids) or 300 tons (on the Moon base). His lunar weight would be close to 50 tons, much easier to launch. It would be better and easier to build on the Moon, rather than to assemble in orbit a large spacecraft. 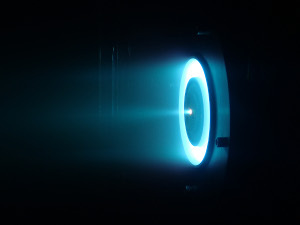 The propulsion required for the release could be provided by liquid hydrogen engines coupled to high-density plasma motors (patents 2006-2016). It would not be necessary to use solid chemical propulsion in order to free oneself from the lunar attraction, especially since the basic chemical raw materials for chemical propulsion do not exist on Moon (Liquid oxygen and compounds unstable nitrogen). Only fundamental and vital resources exist on the Moon including WATER. This water could easily be decomposed into Hydrogen and Oxygen by mini-nuclear power plants producing sufficient electrical energy. A recent agreement has been sign between NASA and Russia for an orbital station, proof of the important interest for Moon . For the characteristics of a terrestrial launcher we can quote the Saturn V, with a payload of 45 Earth tons or 7.5 tons on the Moon (so to speak). Click here to be directed to some information about Saturn V.
This first payload could consist of a first lunar module equipped with powerful engines that would be assembled with other lunar modules, at least 5 in number, in order to constitute the final ship on for the Moon or lunar orbit. Then this ship might consider trips to Mars or other planets and moons. The lunar base solution is preferable because settlers could build parts of additional vessels and habitable domes on the ground or underground and thus apply the plasma technologies to manufacture many necessary materials. Oxygen could be removed from ice water or rocks by simple or plasma thermal dissociation(thermolysis). Oxygen could be low enriched with Helium 3%. Some of the breathable nitrogen could be obtained by applying the plasma tools to the lunar rocks. Nitrogen is a gas that our breathing uses and rejects during pulmonary circulation, it is not vital to lung life, however biological nitrogen must be absorbed by human via food only for participating in the cycle cellular and genetic (purine and pyrimidine bases) AGTC, U.
Nitrogen (N) is an essential component of DNA, RNA, and proteins. Basaltic rocks very rich in nitrogen could be discovered in shallow hard Moon, the Moon having lived volcanic or magmatic periods in the past, when it possessed a magnetic field. It can therefore be concluded that the atmospheres N2, O2, He, will be available on the Moon by chemical means of high temperatures chemical engineering and by electro-synthesis. As well, considerable liquid water reserves could be available (warming of ice zones on polar surfaces or average depth (300 meters frozen lakes) - Moon spectrometry will verify. The moon has been bombarded for 2 billion years by solar and / or cosmic radiation, when the lunar magnetic field disappeared, lunar atmosphere quickly was exhausted all the more because the gravity is 1 / 6em of that of the earth, and it attracts less easily the N2-O2 molecules that could have been present 2 billion years ago. It won't be necessary to bring a large amount of initial resources from the Earth for use on the Moon. 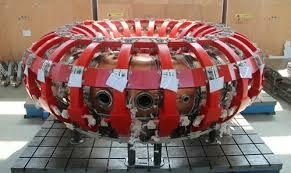 PERT-HELIOTORR-type plasma tools will be essential. There are other variables on the Moon or on other celestial objects that will depend on the advancement of our Technologies. GENESIS OF A PARTIAL LUNAR TECHNOLOGY ATMOSPHERE. It will not be necessary to consider the significant creation of an atmospheric reserve. The creation of domes or structures weakly permeable to UV, γ, and cosmic radiation cannot be composed of polymers that are generally transparent to EM hard radiation. Only silicates or borosilicate glasses can represent a protection for the colonies. UV radiation could be conveyed by mirrors in some agronomic, hydroponic greenhouses. The UV radiation of plasma machines installed in domes could serve as artificial UV sources for agronomic or biological areas. Some domes would be partially coated with special opto-quantum layers manufactured by ULTRA PURE plasma processes to provide some of the electrical energy and would relay some of the relaxed thermal energy into spheres or agronomic zones. It is logical to conclude that settlers will be able to settle on the Moon or in Moon orbit in order to safely prepare trips to Mars or other planets and moons with an excellent control of colonization. Moreover it is possible that the research and development of more powerful plasma engines of 10 K Newton! and more (compared to the chemical propulsion system) allow accelerations of more than 30,000 to 300,000 seconds (SI) Specific Momentum, some developing in other laboratories and at ionic speeds of 1000 km/s or more. 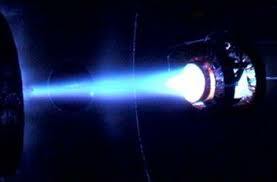 The ideal plasma engine should eject in the deep space the ions at 10'000 km/s or 100 times faster than the velocities obtained on earth. This challenge can be overcome, with new plasma technologies that will emerge in a decade (2017) to be utilized at 36'000 km altitude (Earth) or in lunar GEO orbit. VASIMR currently works for 2017 with a relative force of 5 Newton. The VASIMR 200 engine delivers during 1000 seconds (SI) of ejection of ionized Xenon atoms from the plasma (Xe at 50 km/s) - complicated calculations must be made taking into account the drift velocity ΔV, the progression of the drift velocity is logarithmic. Consult the MISSION XR-PROP or XR-COL. It is clear that with such speeds of propulsion,even at 3/1000 em of the speed of (c) - 300'000 km/s, will require the spacecraft to detect the objects which can collide with it. The detection will have to be fast and most anticipated, only Quantum Machines in development will be able in real time to carry out these calculations of detection and prevention and corrections of trajectories in case of imminent danger. Lunar requirements in various artificial atmospheres will be easily elaborated. The oxygen coming from the electrolysis zones, and some helium, and a percentage d of nitrogen, which mechanically serves the pulmonary alveoli but whose biological action is useless. Further studies of vital gas mixtures will have to be tested on the Moon, before considering long stays on the moon, given the differences in gravitational force. Studies of gaseous mixtures in the absence of gravity cannot be extrapolated to lunar conditions. This planet cannot be considered as able for harboring human colonies under standard conditions of temperature and pressure as on Earth. 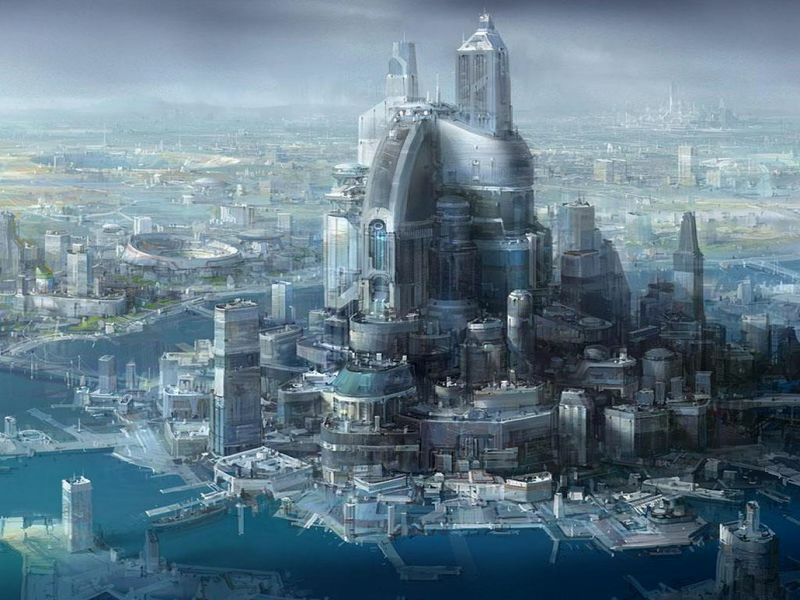 On the other hand, colonies of robots could be envisaged, with a surface pressure considerably high 93 bars and with a temperature of 740 K, only mechanized and protected structures could carry out scientific missions, but also Mining and Refining, including the search for liquid masses of water or hydrocarbons. On the other hand, in a collateral manner, the VENUS atmosphere could constitute an important source of oxygen and finely divided carbon which can serve as catalytic beds for hydrogenation operations. VENUS should be considered as a possible industrial site on which it would be possible to extract resources - C, Oxygen, WATER, Hydrogen and possibly methane and / or Hydrocarbons and Silicon. 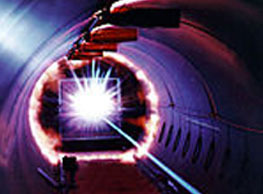 The oxygen being obtained by transformation of the CO 2 (Gas become super-critical liquid at 93 bars) by means of the PERT-Agency plasma technologies. The ground temperature of 740 K can confirm by analogy that this temperature is relaxed and comes from an initial plasma in the state PLTE originally 3 billion years ago, for confirmation, Venus has a very weak magnetic field , and trails in its wake a 45-million-kilometer-long plasma tail, first observed by the SOHO probe in 1997. In all cases, it is possible to create plasma on VENUS. C02 can be used in plasma tools and traces of rare gases such as Argon or Xenon are favorable to the creation of plasma even atmospheric pressure. The atmospheric pressure on Mars is very low (100 times lower than on Earth) and does not allow its thermolysis in simpler chemical elements C and 02 by the plasma tools. The creation of special synthetic atmospheres (02, N2, C, He, Ar, Xe) and 03 will be carried out from volcanic rocks on the surface, sediments and semi- deep and WATER which are mainly composed of Silicates simple or complexed with Aluminum and Na. The PERT Agency plasma tools will be used for these GENESIS missions. Domes and cockpits for robots and men (ground and underground) would be built according to the processes already described in XR-COL- and XR -SPACI and XR-PRSE sections. Logically, the first operations would be carried out from pre-fabricated materials in small quantities in orbit and assembled robotically on the ground. The technological vessel could come from the Moon. The Martian and Terrestrial gravity being substantially the same, the plasma engines for the return of technological space shuttles (having brought plates and other materials on Mars) should be more powerful than those having been built on MOON. The installation of laboratories on Mars, including agronomic zones, would be developed later, because they require large quantities of oxygen and a little Ozone, which the vital immediate production destined for the colonists could not ensure, the first plasma tools serving for the IMMEDIATE elementary spots. The complete ENGINEERING of a colony implantation in the solar system is the subject of this presentation, although many guiding elements have already been described. We must consider JUPITER as a considerable industrial reserve of Hydrogen 90% and HELIUM 10% and certainly of its isotope 3He. These superficial reserves could be supplemented by deep reserves to be qualified and quantified. These reserves would allow industrial spacecrafts built by settlers to "market" in this gigantic CRYOSTAT and recover H2 gas, liquid or metal and Helium to store these precious reserves for engines, factories, and WATER and atmospheres. Despite strong winds of 300 MPH - it would be possible to penetrate the Jupiterian space with tanker engines, but the ejection speed 53 km S-1 almost 5 times that of the Earth forbids for the moment this kind of industrial pumping. In addition the technology for the storage of H2 and the pull out from the Jupiterian attraction once the payload loaded, does not exist yet. Only atmospheric pumping of reserves H2 and He would be conceivable-2017. Europa is the smallest of the four Galilean moons orbiting Jupiter, and the sixth-closest to the planet. It is also the sixth-largest moon in the Solar System. Europa was discovered in 1610 by Galileo Galilei  and was named after Europa. Slightly smaller than Earth's Moon, Europa is an essential Iron-Nickel core. It has a preserved atmosphere of oxygen. Its surface is striated by cracks and streaks, whereas craters are relatively rare. In addition to Earth-bound telescope observations, Europa has been examined by a succession of space probe flybys, the first occurring in the early 1970s. EUROPA can be considered a possible place for the installation of a colony, the presence of liquid water is demonstrated. Thus it would be necessary to bring for the colonies of men domes and cockpit installations containing a viable atmosphere. This atmosphere of synthesis, would be elaborated from the rocks and minerals present on Europa, thermolysis plasma, are able to generate O2, N2, He, Ar. Controlled thermolysis could provide a water content of non-negligible composition which can be used directly. Water could also be used as a raw material in electrolysis operations. Other minerals could be exploited also by more conventional chemical methods (reaction correction for the use of water in reactors which would be mandatory due to the low gravity on Europa). With respect to organic chemistry, it would be ensured by the thermolysis of carbonates or by the discovery of hydrocarbons or methane pockets. As we do not know whether fossil carbon life has existed on EUROPA, these hydrocarbon resource assumptions are temporarily to be discarded. The remarks of experimental physical chemistry are the same as for JUPITER with the difference that SATURN contains Hydrogen Deuteride 1H-2D at 0.01% in its atmosphere and certainly in free or icy waters. This residual atmospheric concentration is very low compared to 3.2 / 1000em (heavy water / light water) for the concentration of D20 (heavy water) in terrestrial water. SATURN could become an important industrial source for the settlements provided we possess the future appropriate technologies (engines) for the filling of a spacecraft's liquid hydrogen tanks. Only the heart of Saturn seems to be rocky or metallic. The operations of releasing the gravity of Saturn will be difficult after filling because the gravity on Saturn is substantially equal to that of the earth. Saturn10.34 / 9.81 Earth. These glaciated giant planets have very interesting atmospheres with 25% Helium and 74% Hydrogen and 1% CH4 and are considered as source of water and industrial gases. XR-COL, XR -SPACI and XR-PRSE. The atmosphere of Mercury is constituted with traces of He, H2, Ne, Na and cannot be mined in order to create atmospheres. The ground of Mercury could reveals 3He, because Mercury is the nearest planet of Sun (4He-3He - ejection from sun plasma at surface). The HELIOTORR station (built on Moon) would be installed and parked on the Mercury planet. The first programs will implement several smaller-scale prototype launches for the Space Debris Remediation and Extraterrestrial Mining and Refining missions. These launches will be considered Proof of Concepts or Small Scale POC 1 / 7em. A POC (TERMINATORR) mission will be initially positioned in the GEO stationary orbit 35'700 km and will be equipped with H2O propellants and fuel reserves in order to reach in the future dangerous zones where inactive satellites are placed, as well as regions GRAVEYARD for unused satellites, which we consider as dangerous too for manned missions. These POCs will be considered initially as POC OBSERVERS for mapping the zones at risk in real time. A first particular POC will be performed in sub-orbital flight micro-gravity with NASA Shuttle. A second motorized POC will be sent at 36 km altitude using a Heliostat (HELIOTORR). It is possible that the total motorized POC will be 5 or 7. The motorized POC will allow to direct and correct the drifts as well as the deviations of Heliostats Cx and Cμ values (HELIOTORR). A final POC equipped with plasma and H20 engines will be sent and will be coupled to the 400 km ISS station. When the POC missions are completed, a Space Debris Remediation (SDR) mission TERMINATORR will be sent to GEO 35'700 km altitude and start mapping in real time hazardous areas including Graveyard for satellites out-of-service. PRICE LIST FOR STRATEGIC RESOURCES AND RESERVES. You can download here a short resume of Prof. Dr. Assoun. We share interests with the following organizations and others.